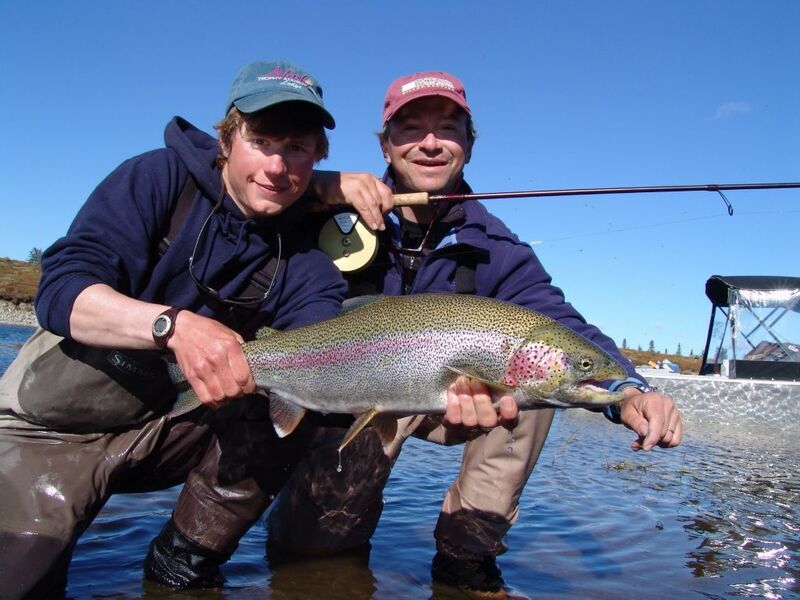 Situated on the remote banks of the Wild and Scenic Alagnak River; Alaska Trophy Adventures Lodge is the perfect wilderness fishing retreat. 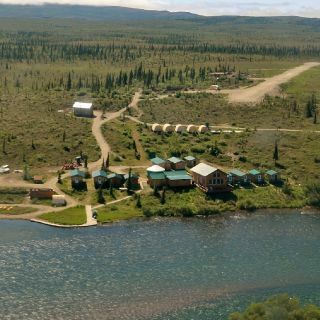 Our lodge consists of 160 acres prime river frontage, located in the most iconic section of the Alagnak known as the Upper Braids. 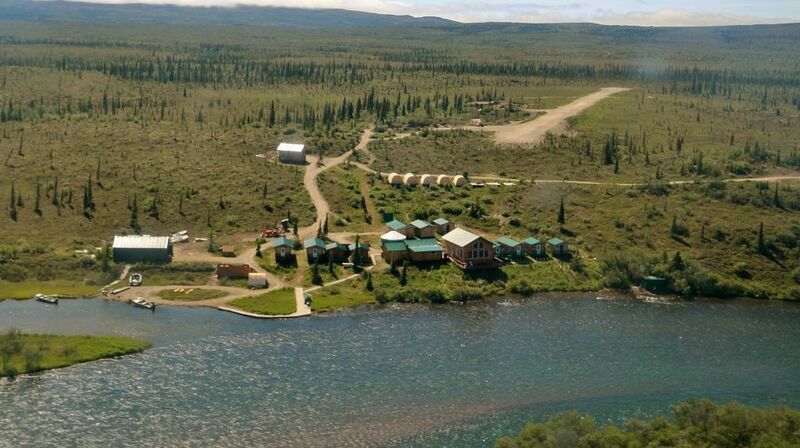 We are only accessible via bush plane, landing on a private airstrip on the property. 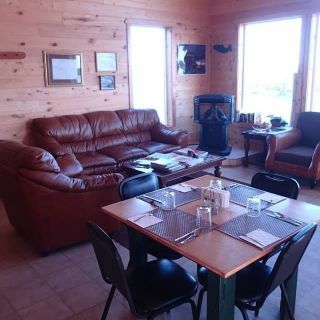 You will spend an unforgettable time surrounded by wild, untouched nature, while enjoying all the comforts our lodge has to offer. 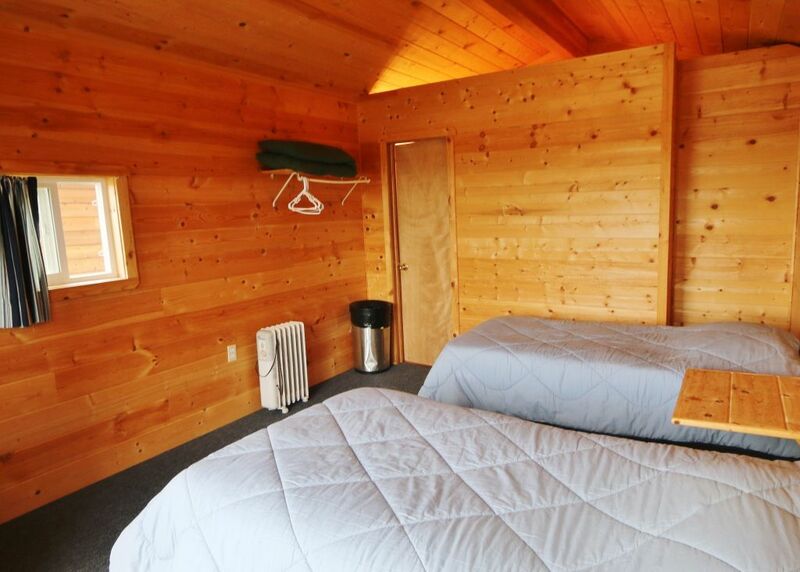 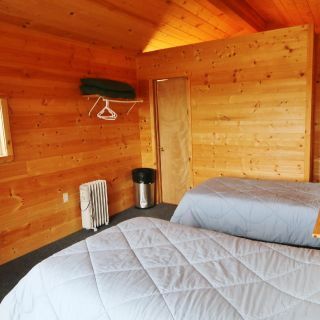 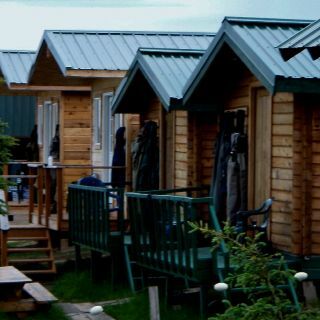 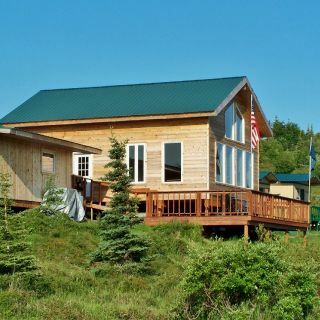 Our welcoming wooden cabins are equipped with comfortable beds, running water, heating and power, so you can relax after an incredible day of fishing on the river. 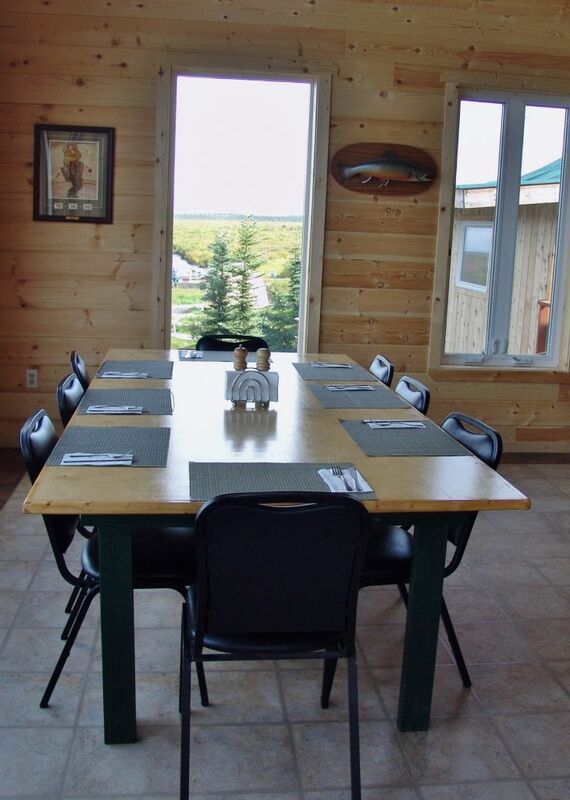 If you choose to stay connected to the “outside world”, we have Wi-Fi internet connection and a satellite phone. 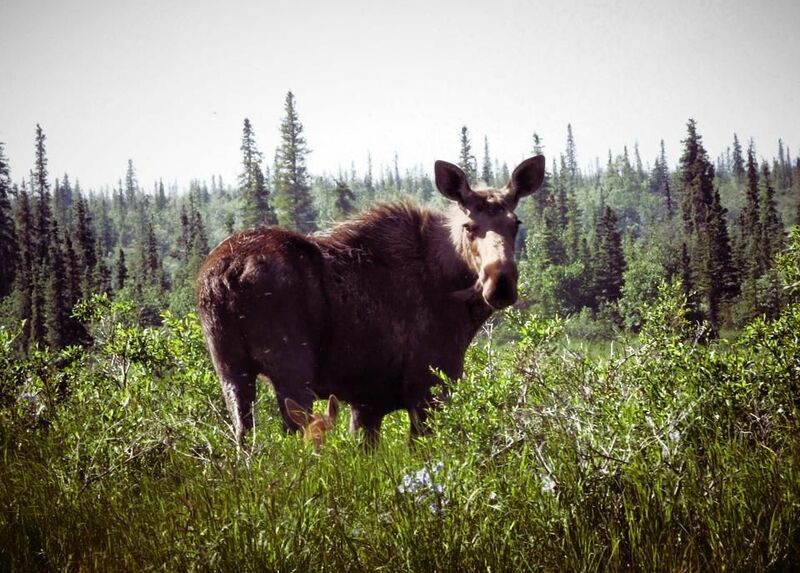 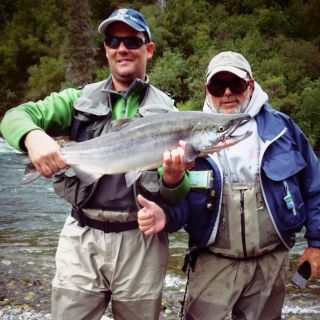 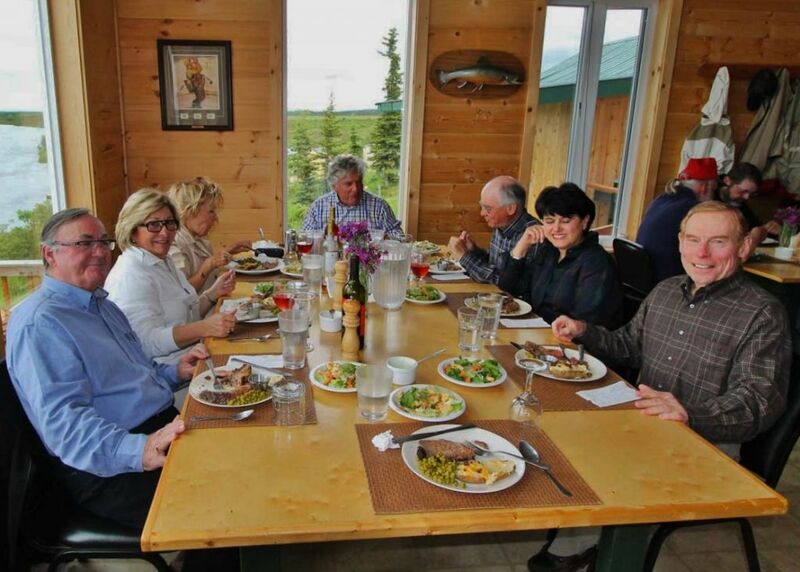 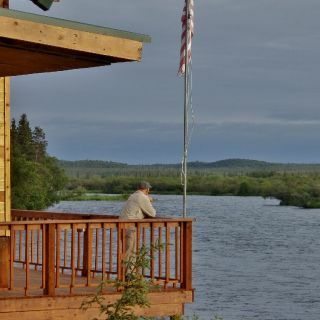 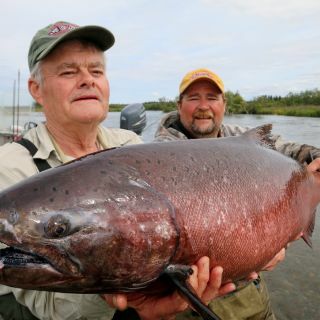 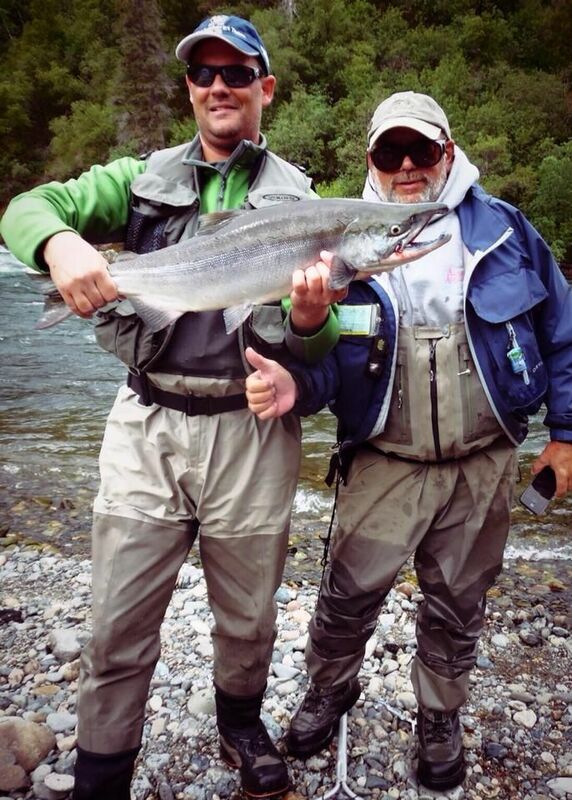 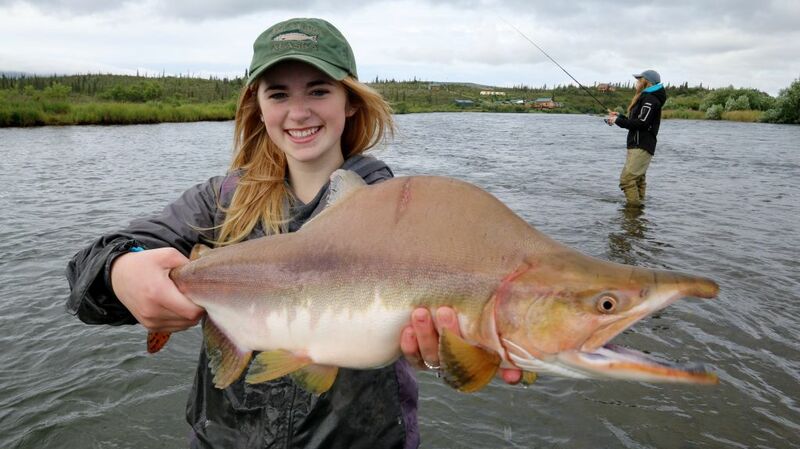 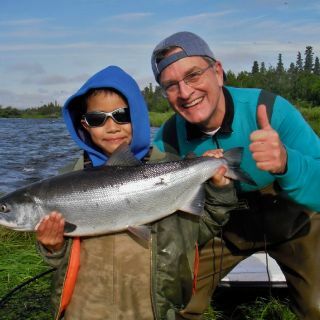 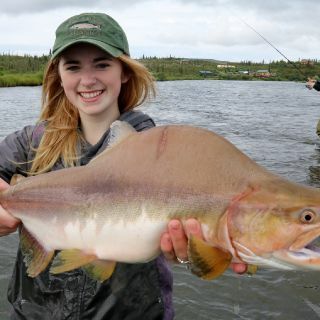 But we encourage you to le View more...ave your cell phones and laptops at home and enjoy our stunning scenery, abundant wildlife and experience a type of world class fishing that has always filled your dreams... Live your dreams at ATAL … A True Alaska Lodge. 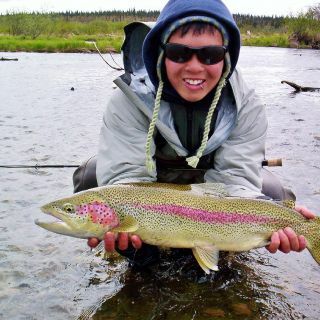 The Alagnak river flows through a wild land of captivating landscapes, abundant wildlife, and cultural heritage. 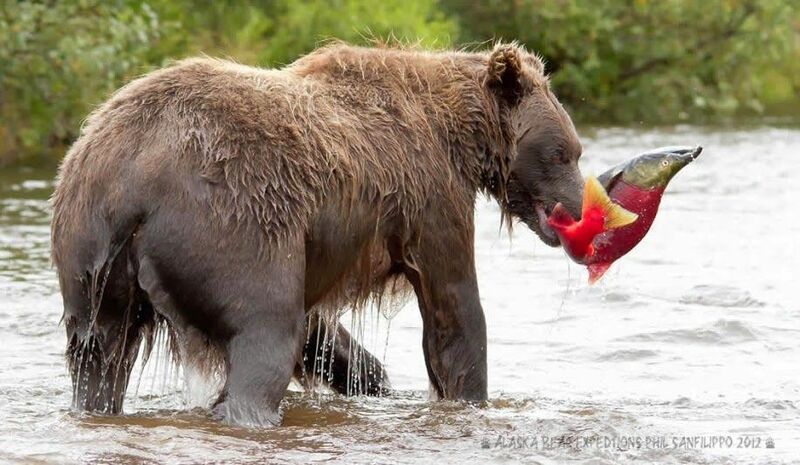 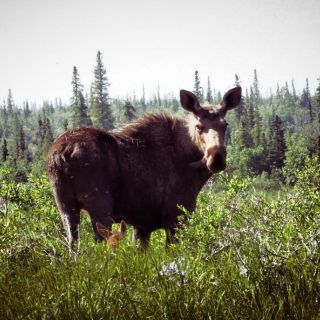 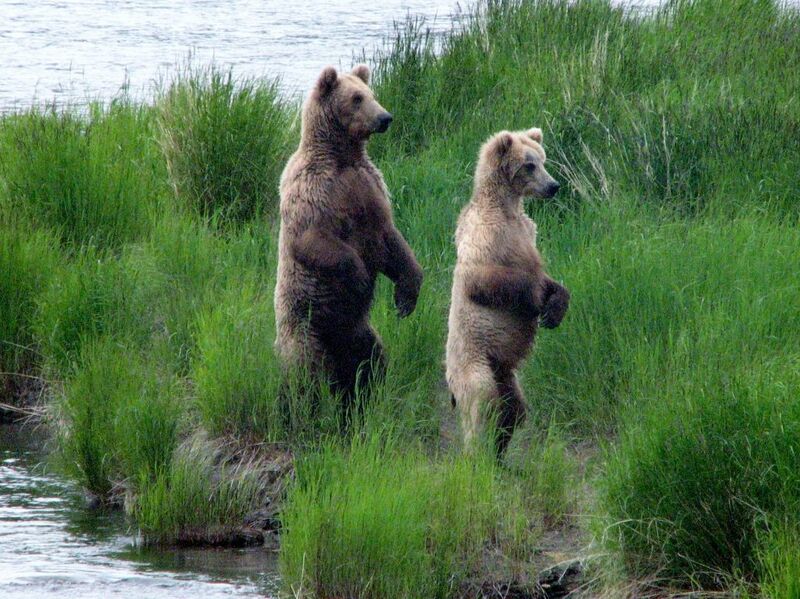 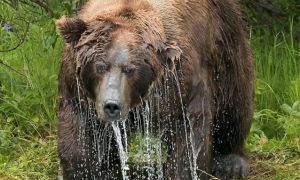 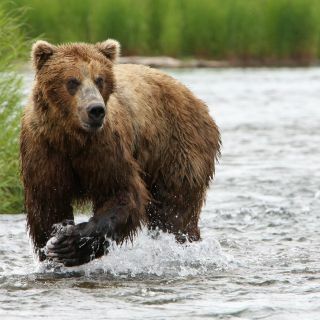 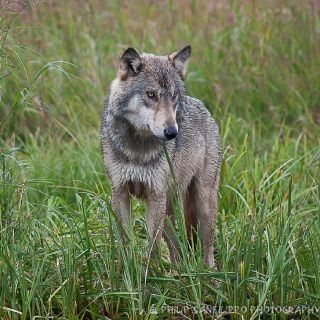 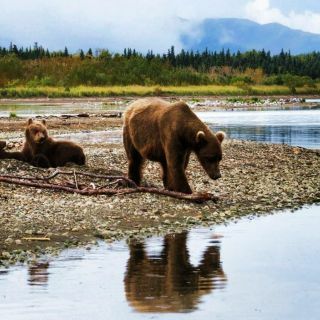 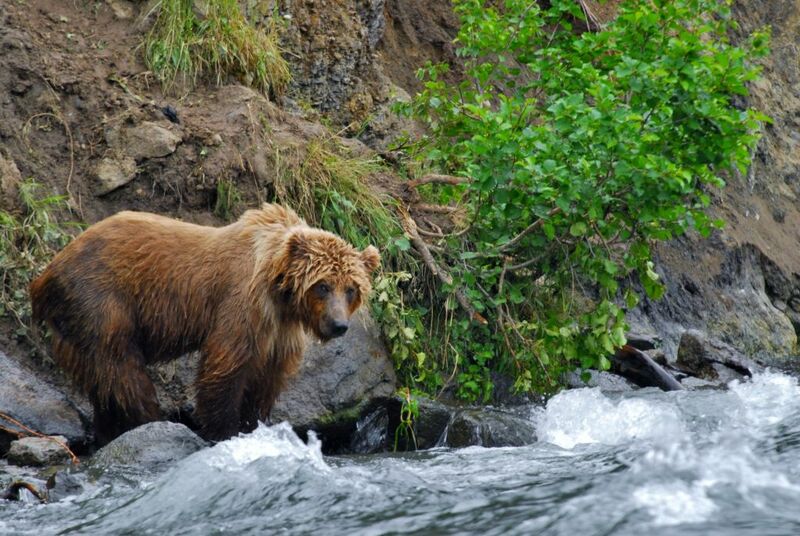 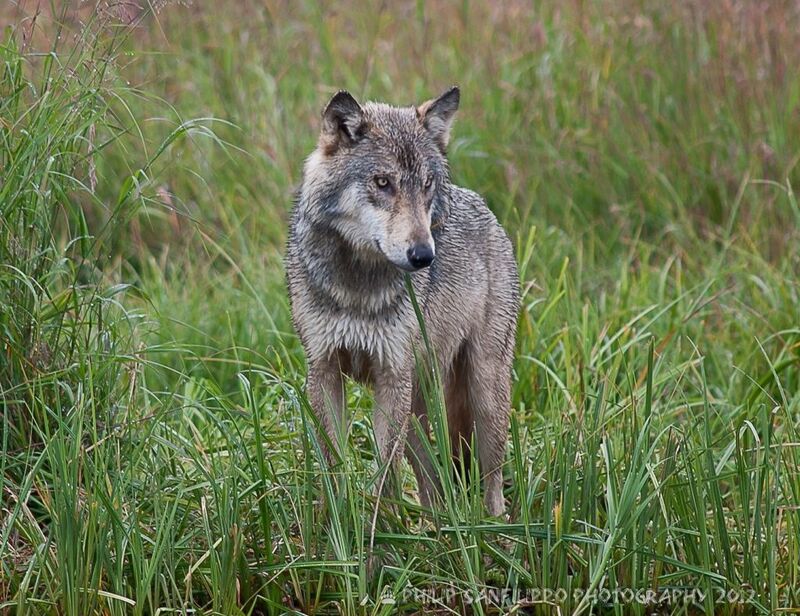 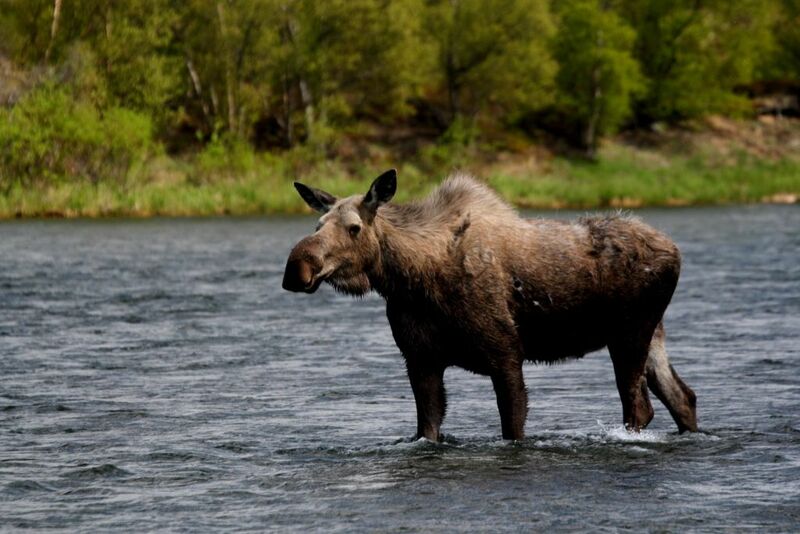 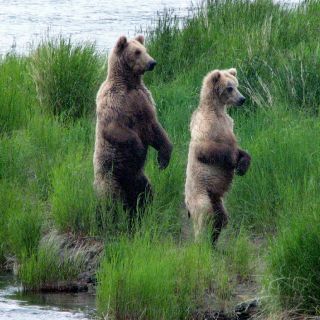 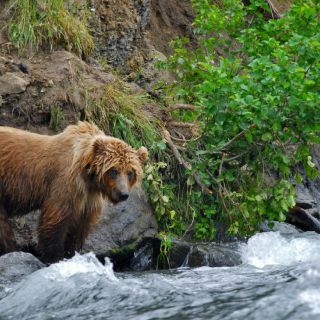 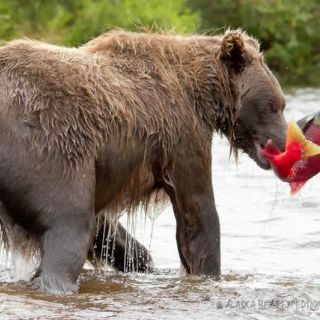 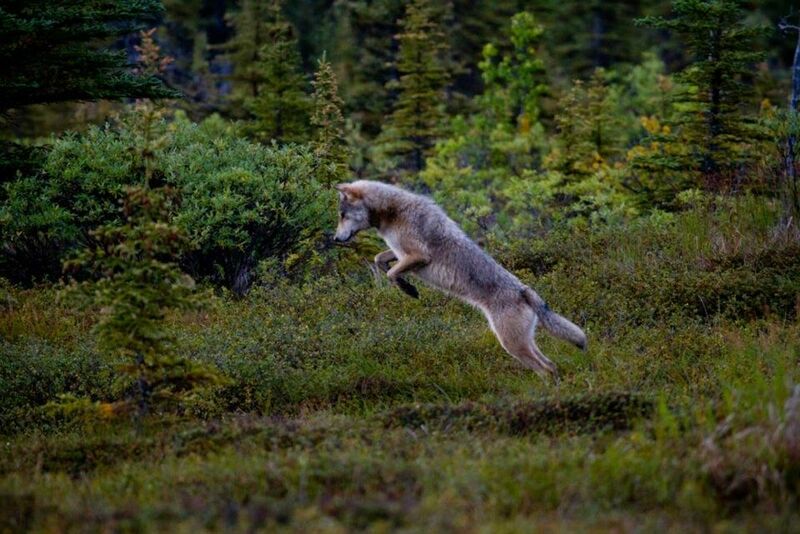 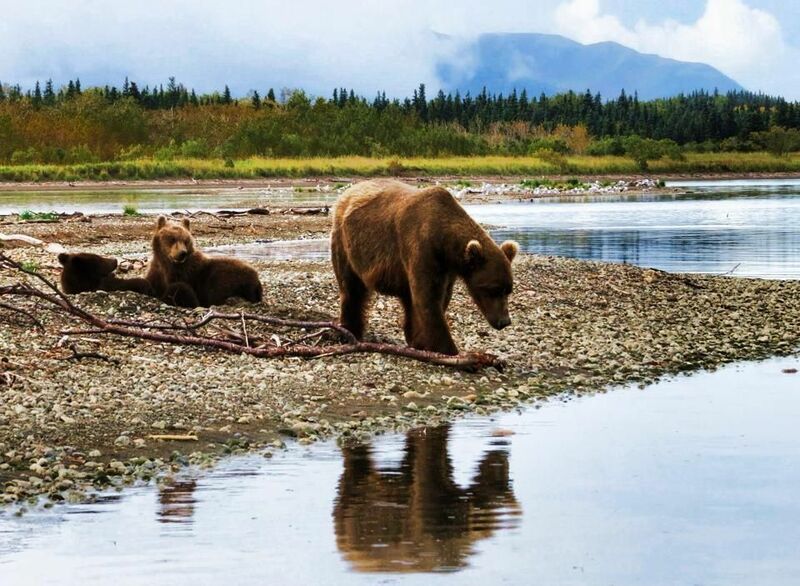 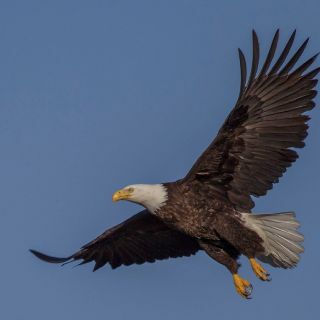 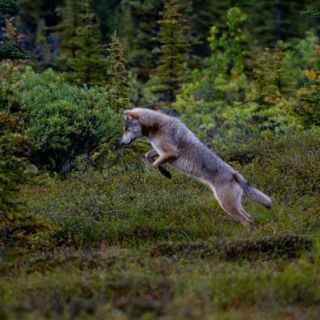 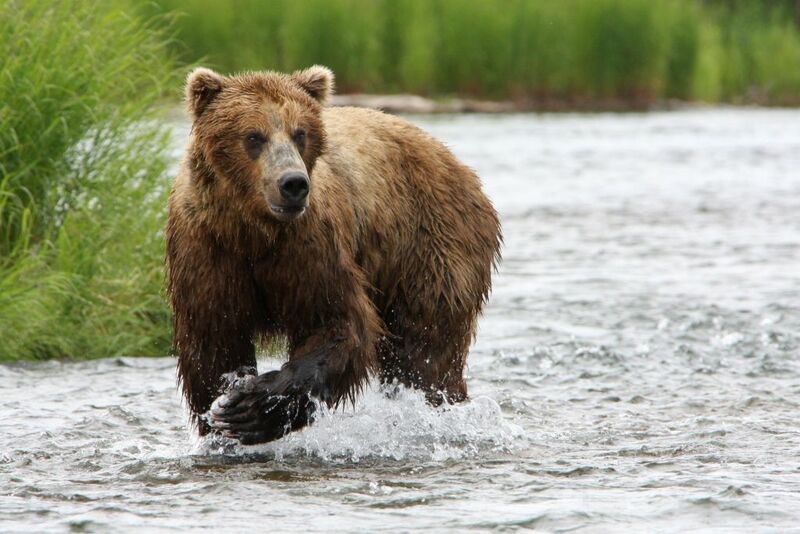 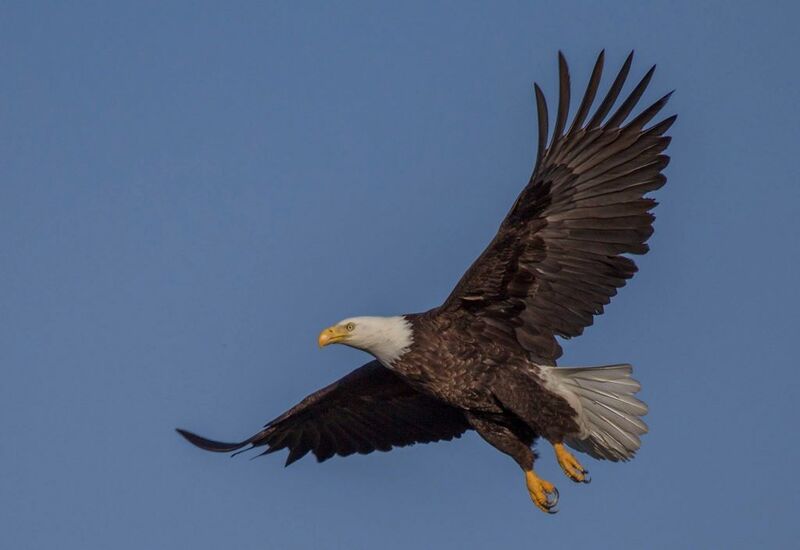 Meandering down the braided river, you may discover a bald eagle perched atop a spruce tree in the boreal forest, gaze at a moose browsing above the river bank in the wet sedge tundra, or encounter a brown bear feasting upon spawning salmon. 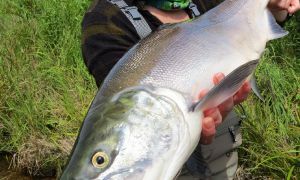 This prestigious river is located within Katmai National Park, with its headwaters in the surrounding mountains and draining into Bristol Bay. 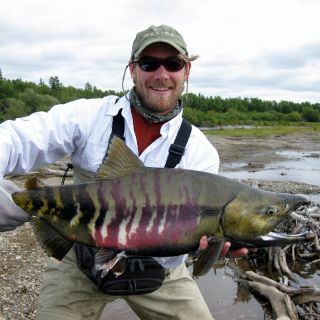 It is also known as the Branch River, for its seemingly endless braided river channels. 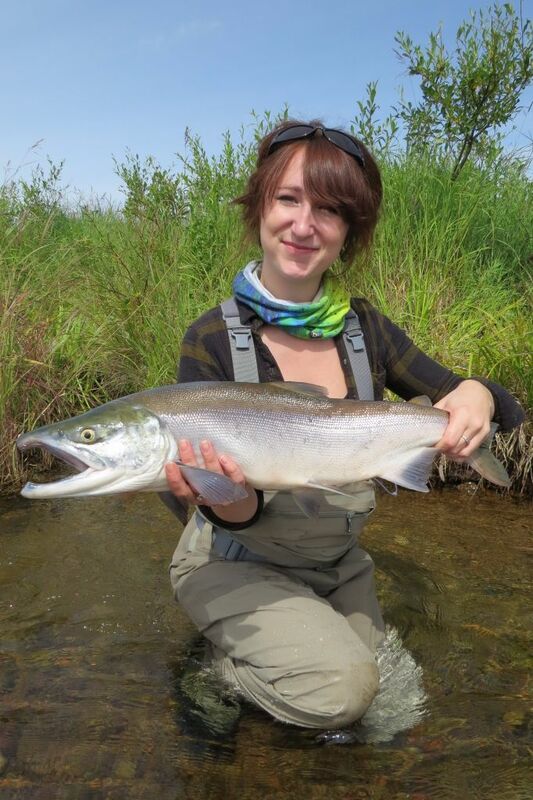 Wading and fishing are made easy on the many small natural islands and gravel bars, which the river flow creates. 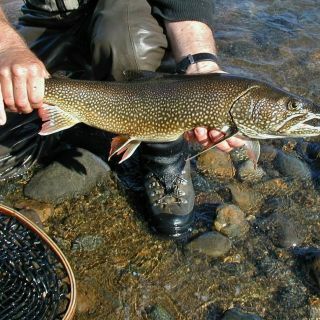 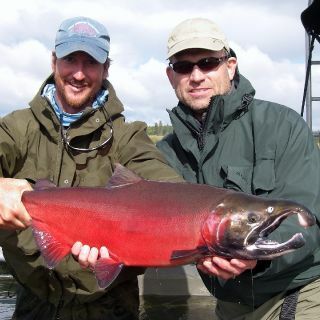 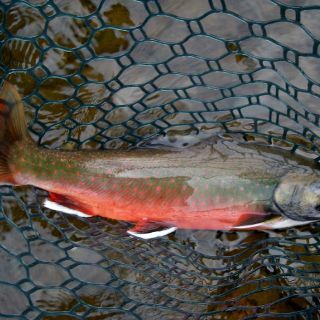 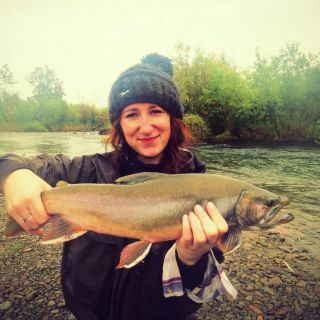 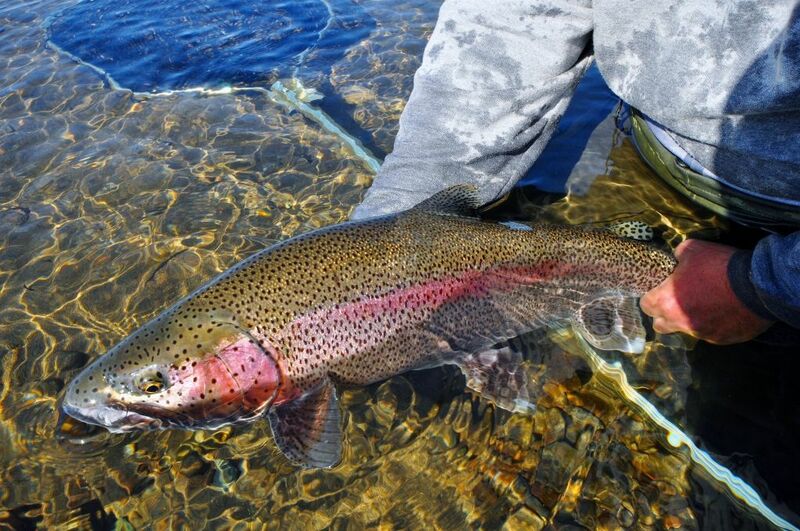 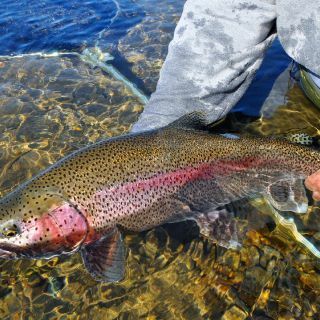 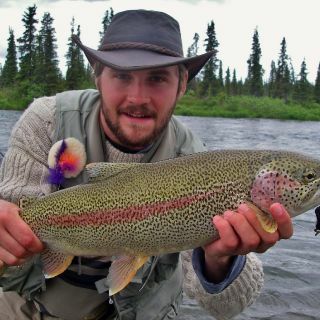 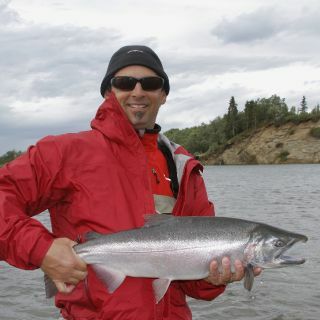 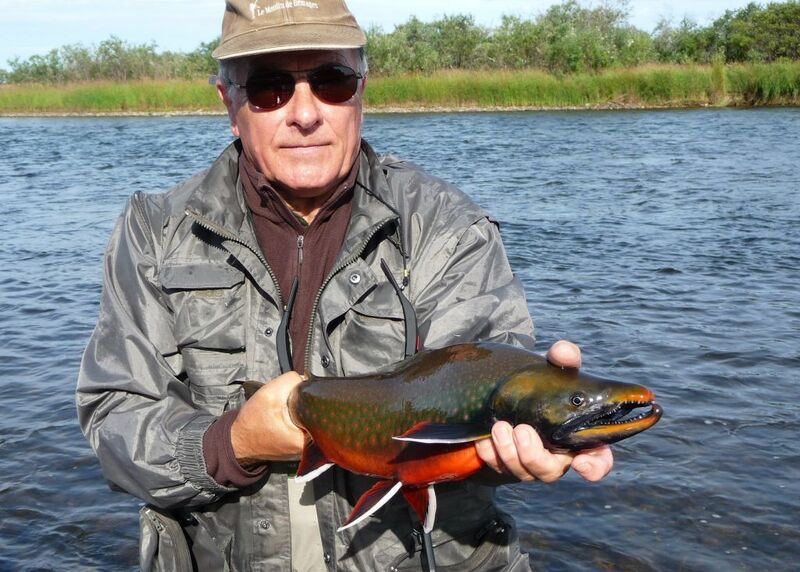 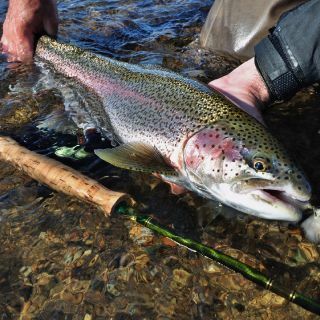 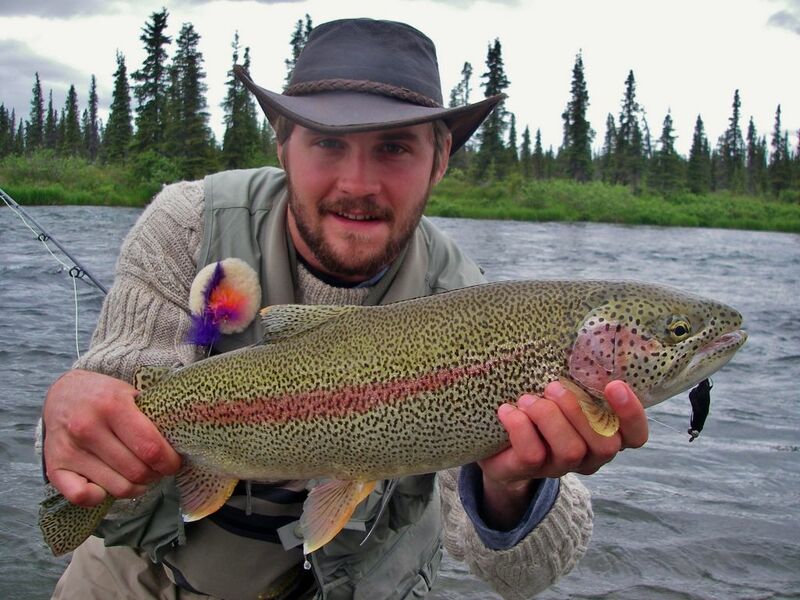 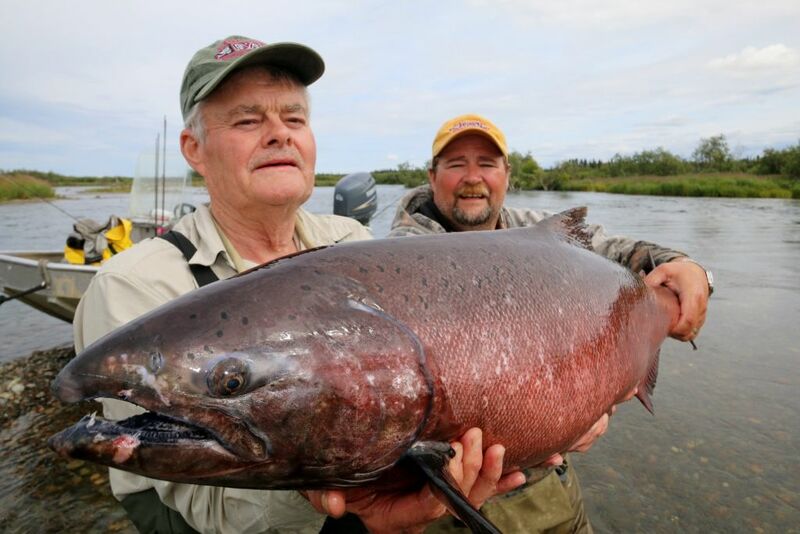 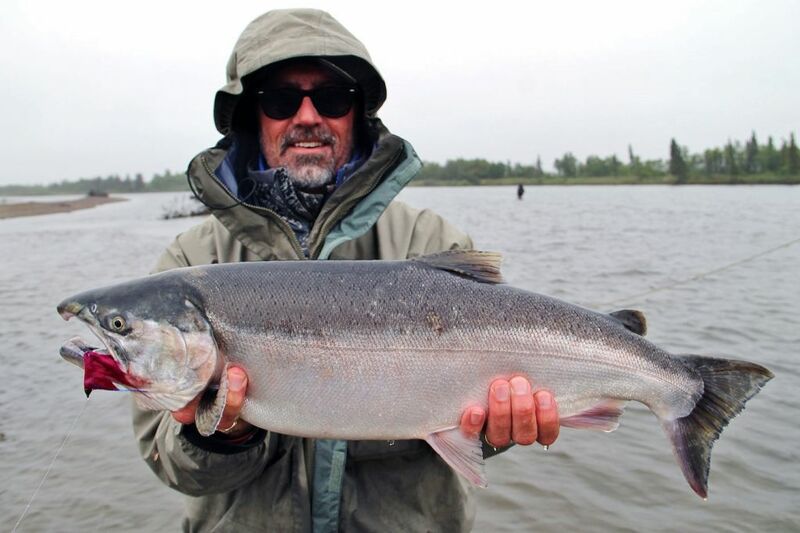 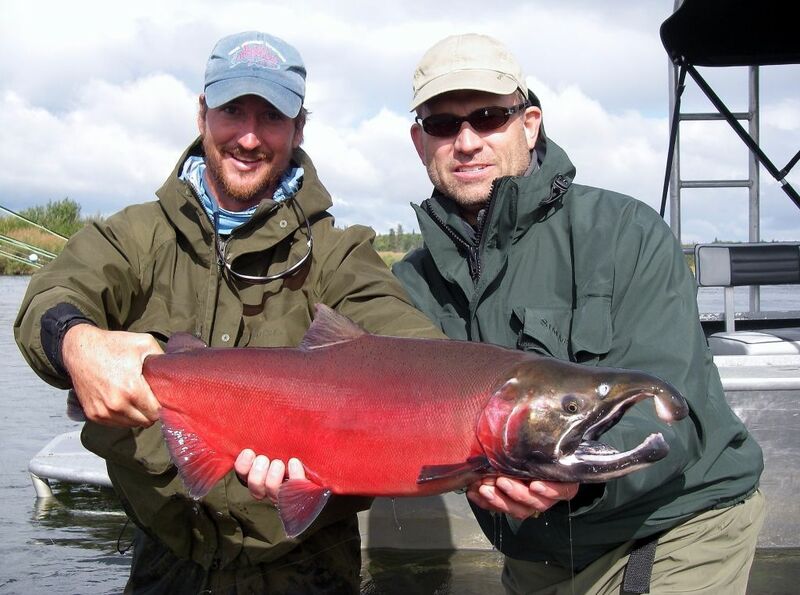 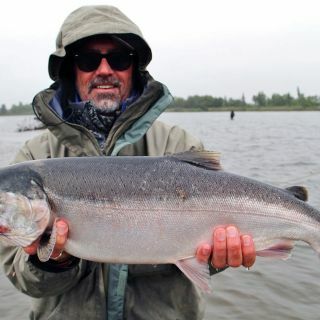 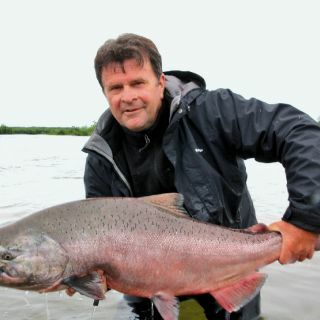 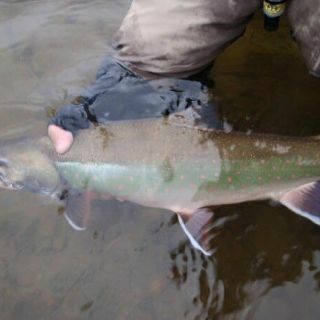 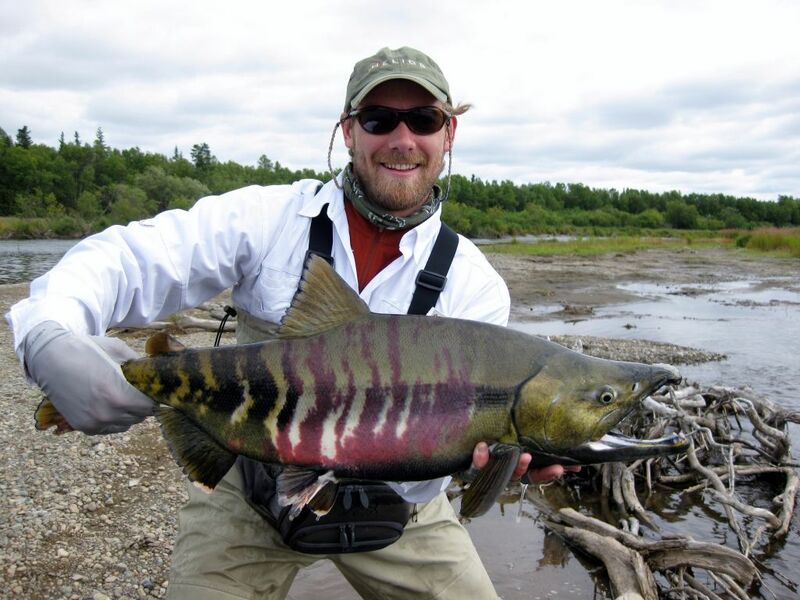 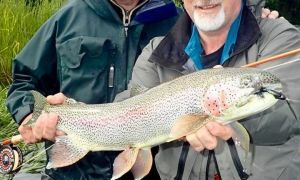 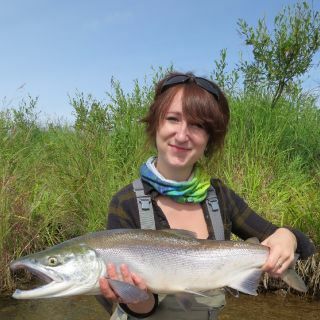 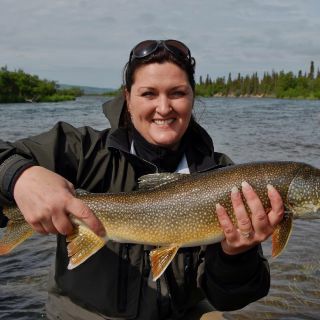 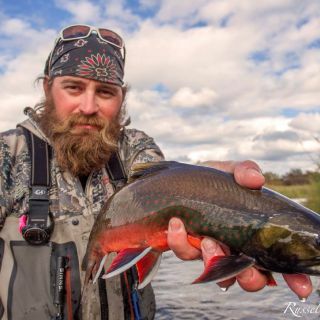 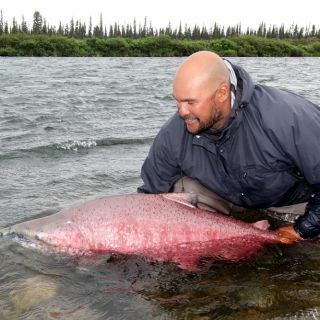 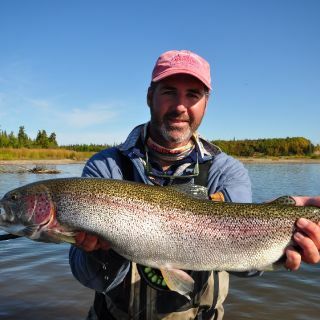 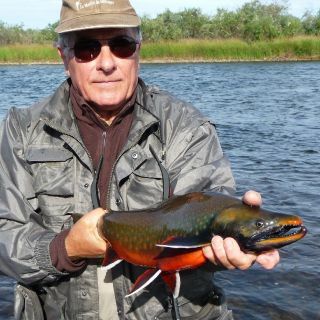 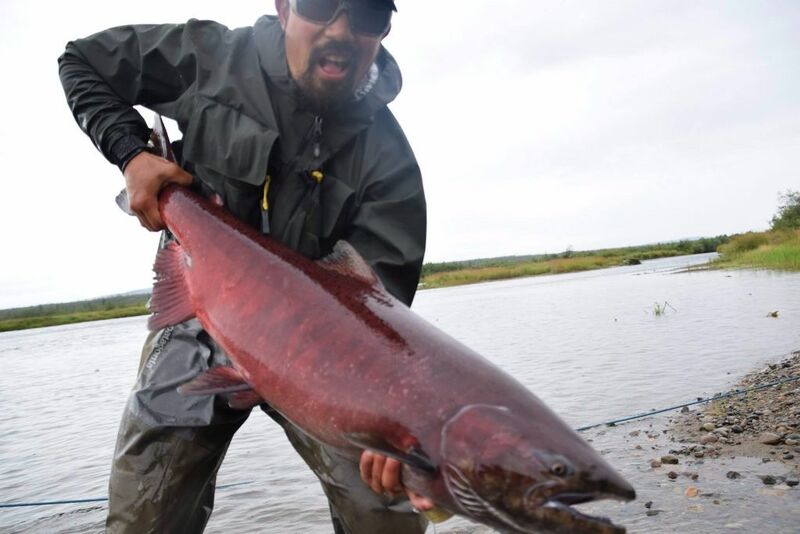 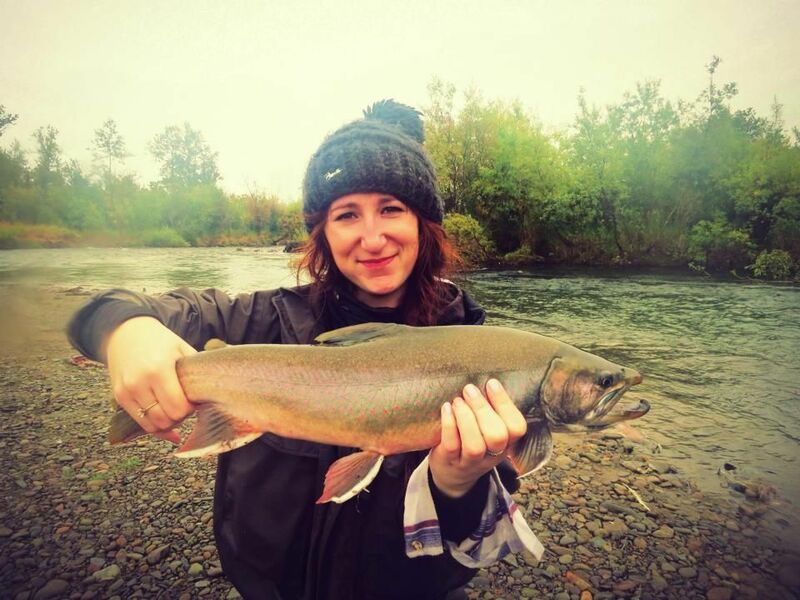 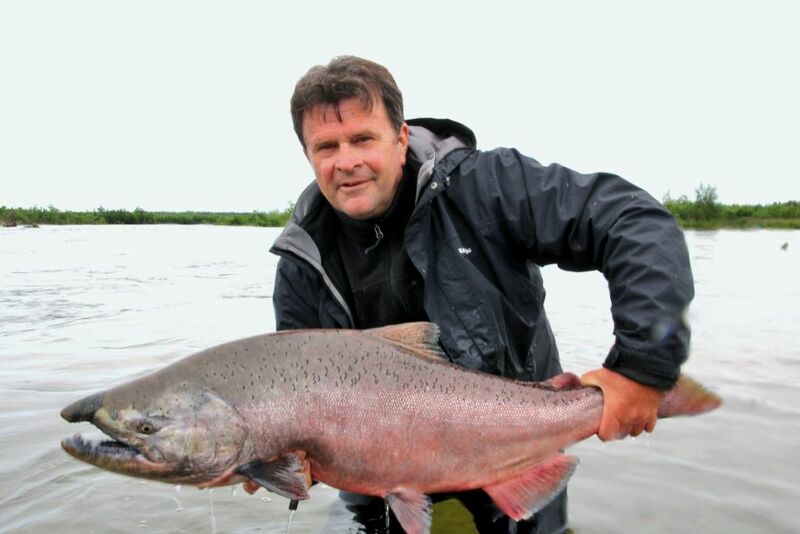 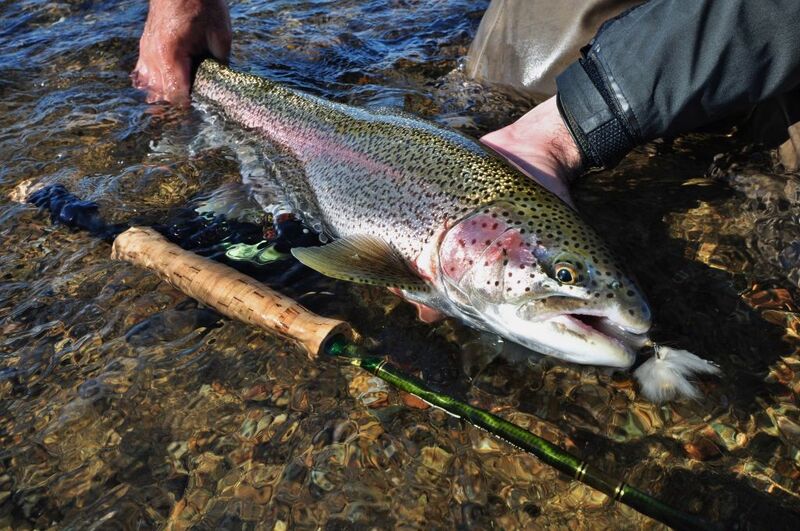 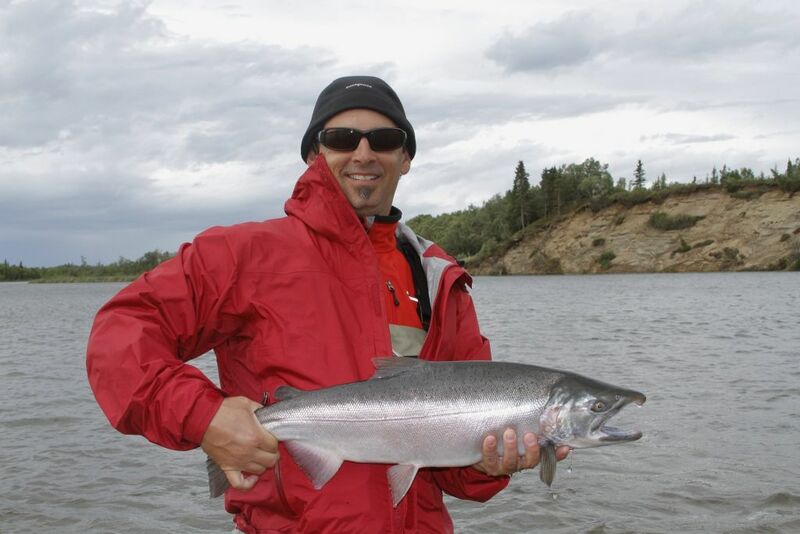 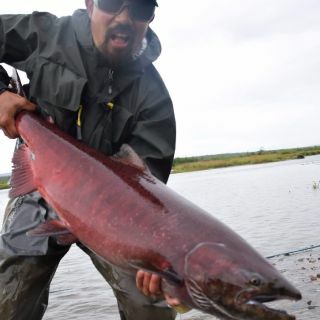 The Alagnak has world-famous runs of all five species of Pacific salmon, and is home to a host of r View more...esident fish, such as leopard rainbow trout, arctic char and grayling, lake trout and pike. 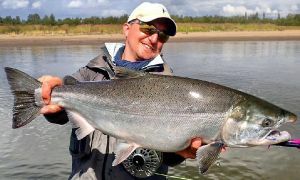 Crystal clear water allows for perfect stalking conditions, whilst slow runs and fast riffles are commonplace, with pools well suited to holding pods of staging salmon, often 35+ lbs., when targeting the kings. 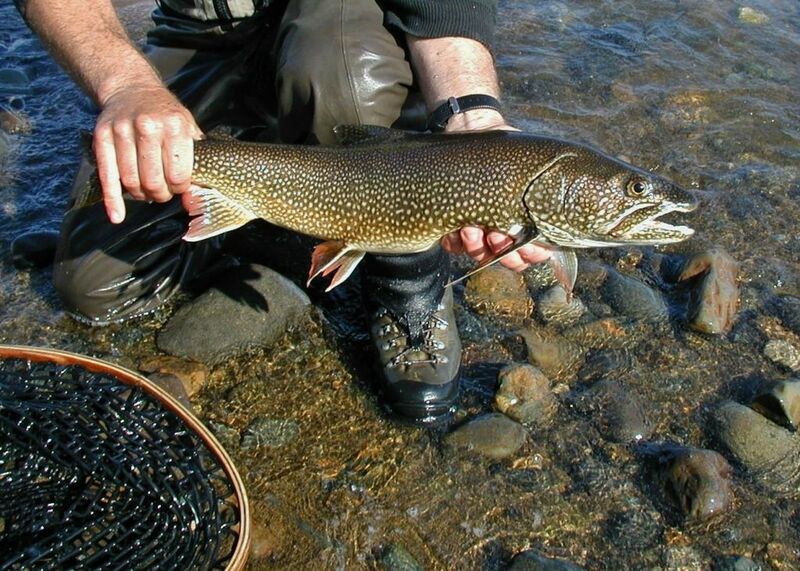 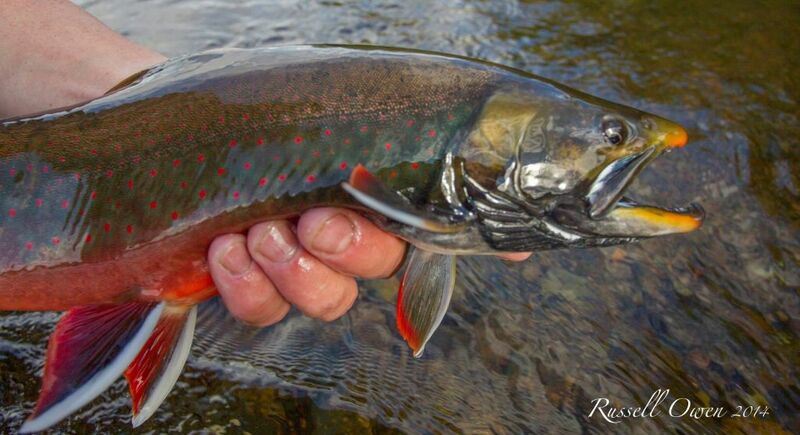 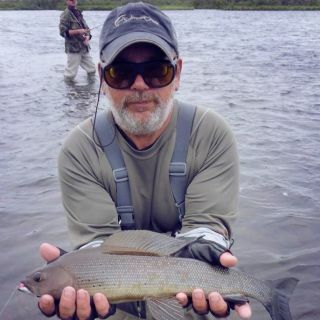 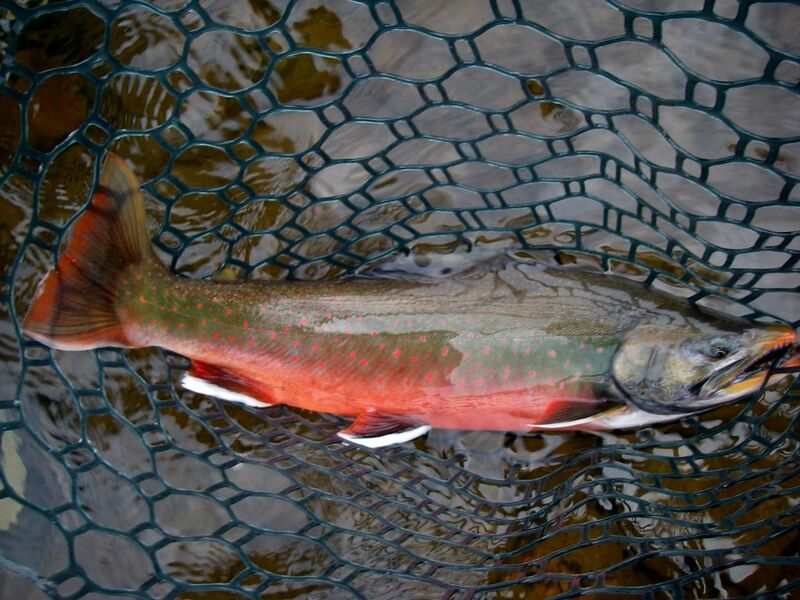 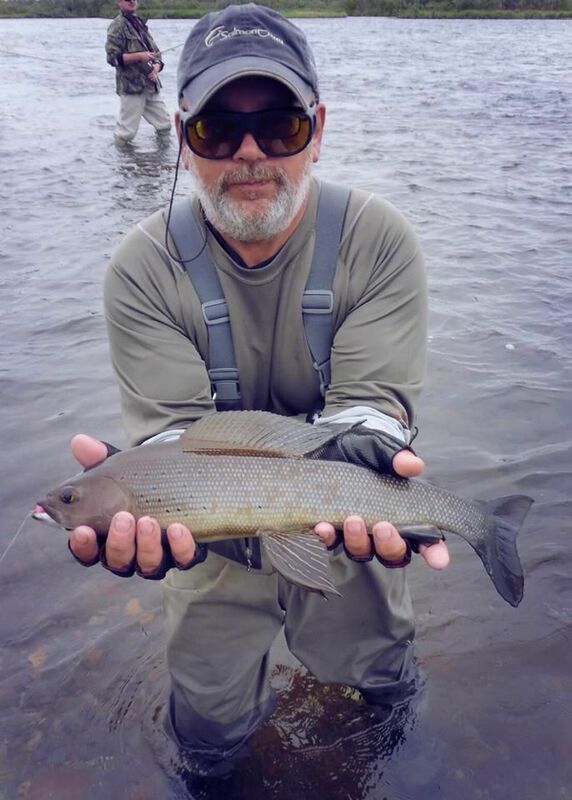 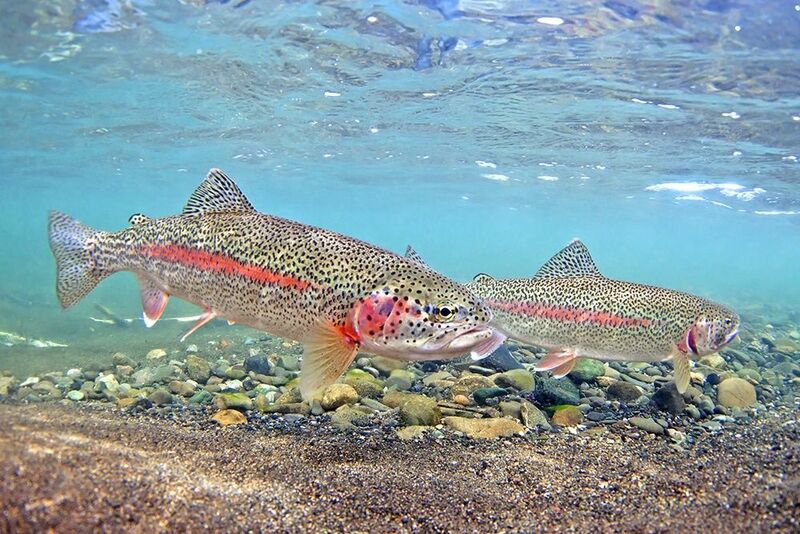 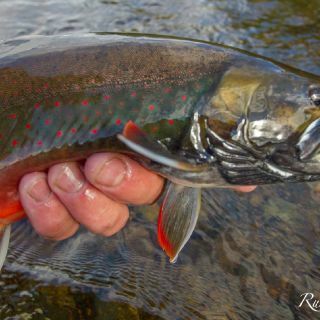 With hatches occurring throughout the season, it is not rare to see a resident trout or grayling rise. 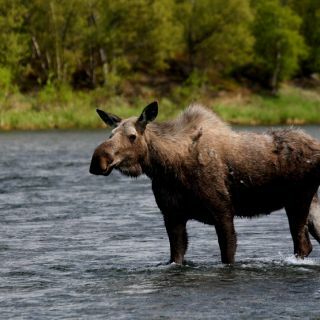 The Alagnak was designated a Wild & Scenic River in 1980 and is protected under the 1968 National Wild and Scenic Rivers Act. 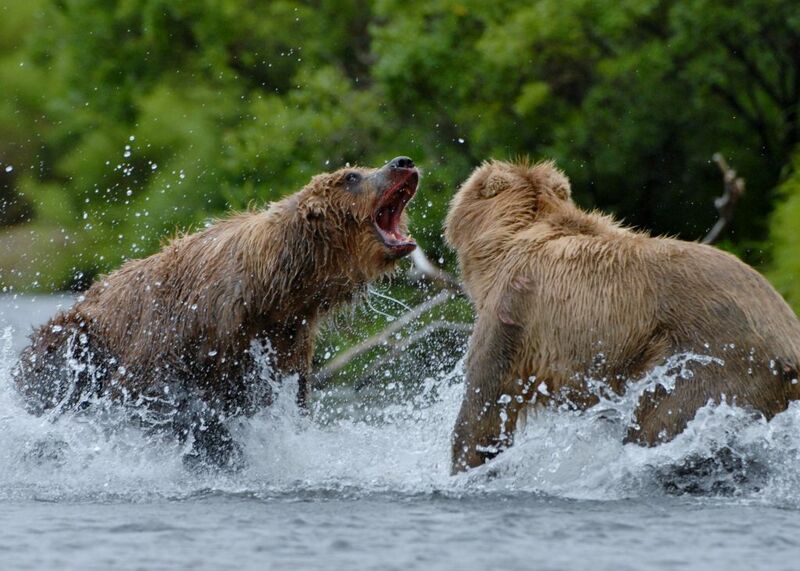 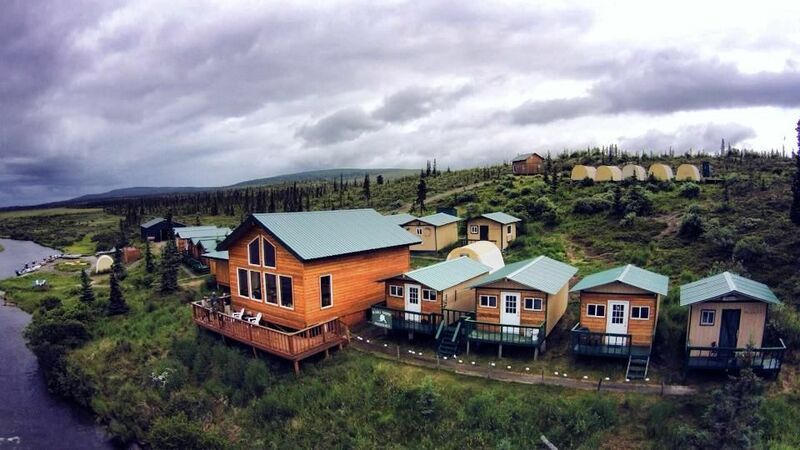 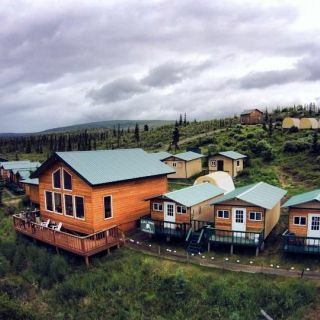 Alaska Trophy Adventures Lodge is located in the heart of what is one of Alaska’s last truly remote rivers systems. 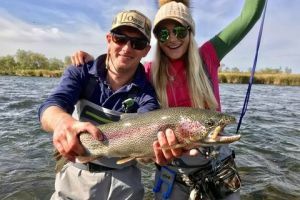 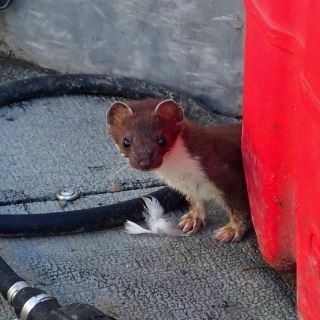 Using jet boats to navigate these waters allows us to access the best fishing spots, when combined with our remote location, far away from other lodges, you will see more wildlife than humans while on the river. 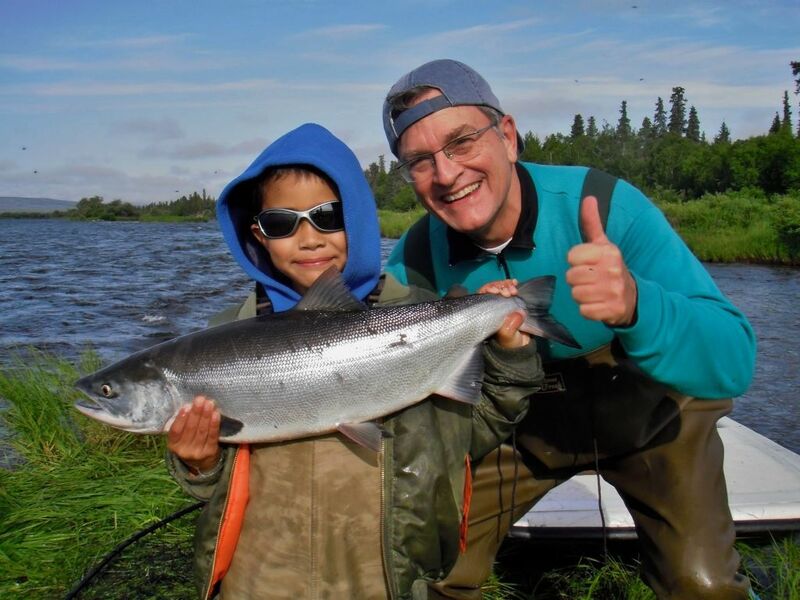 We are dedicated to our river and our clients; providing the best experience Alaska has to offer while insuring that this system will be just as healthy for generations to come. 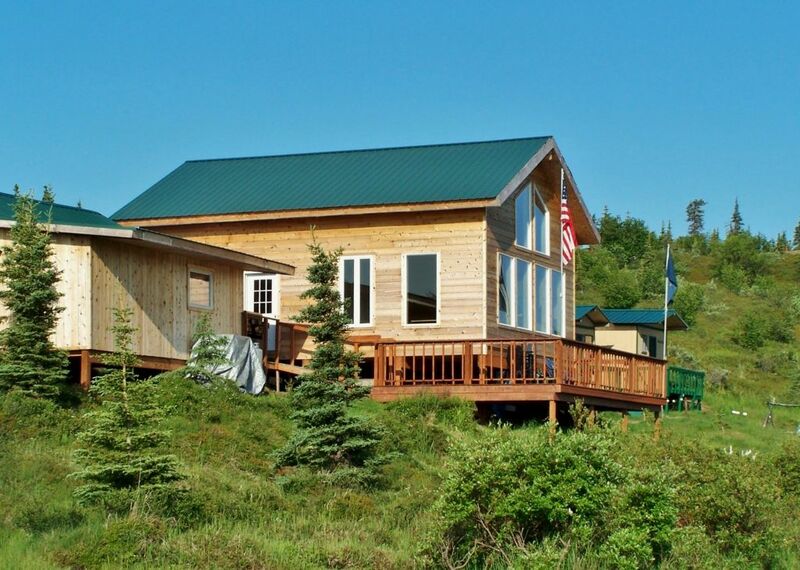 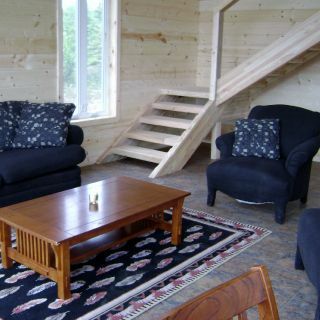 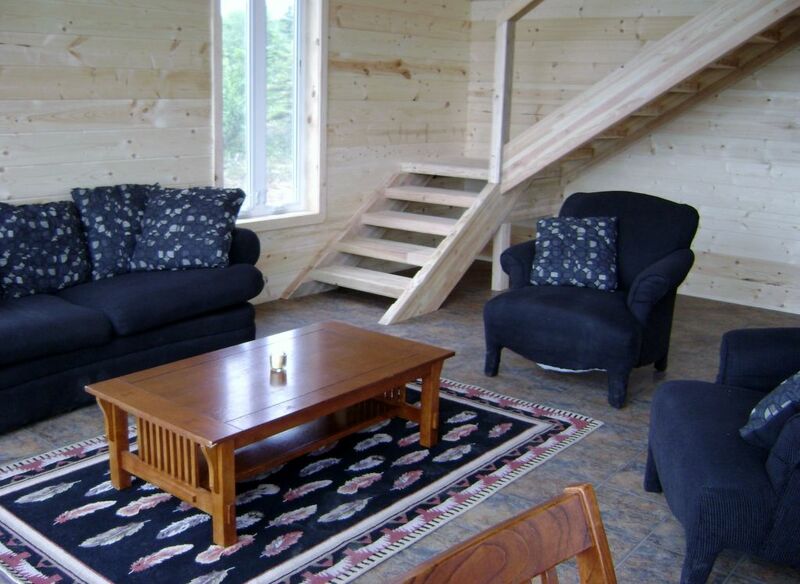 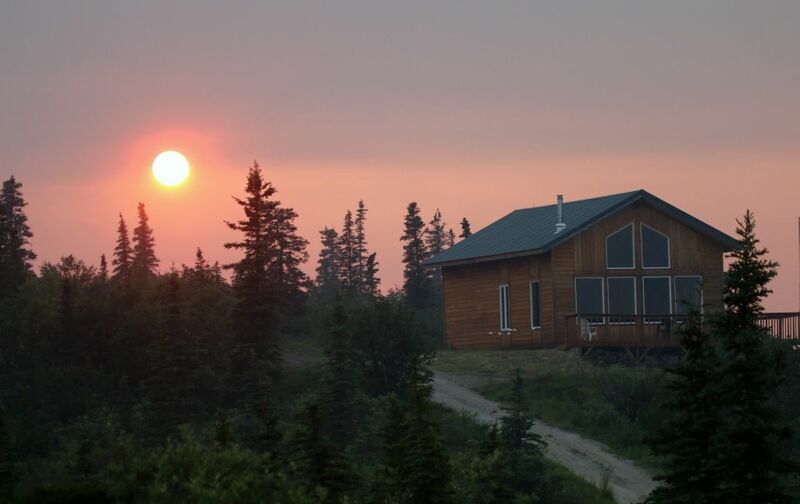 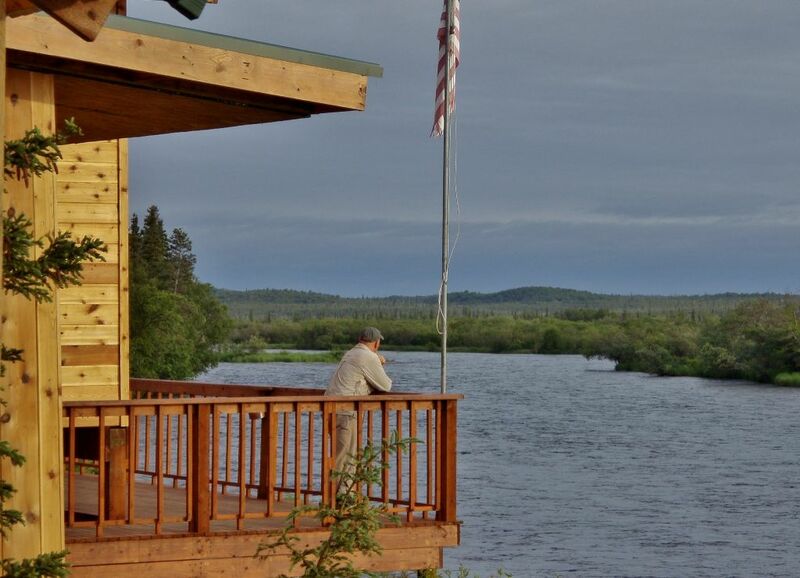 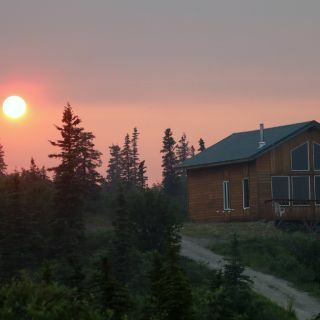 All of our guest cabins, including main lodge have spectacular views of the Alagnak river. 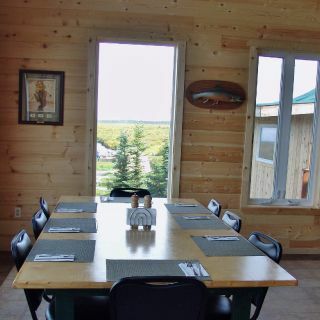 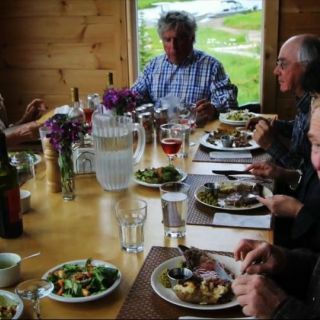 The Dining Lodge is the centre piece of the camp. 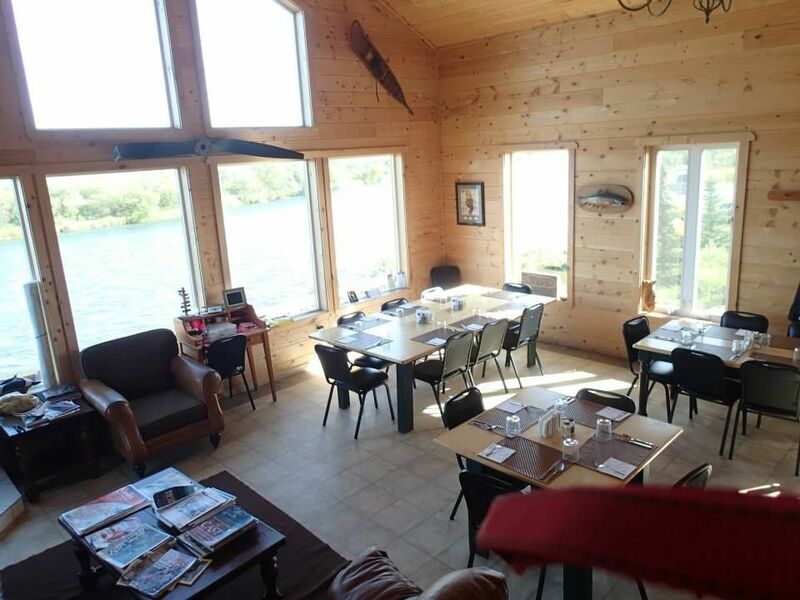 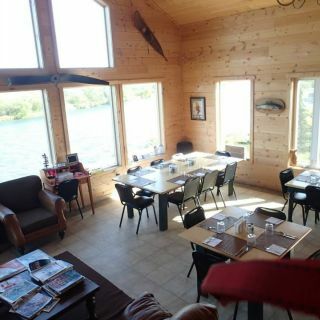 Its where we take our meals, share stories and socialize after a day on the river. 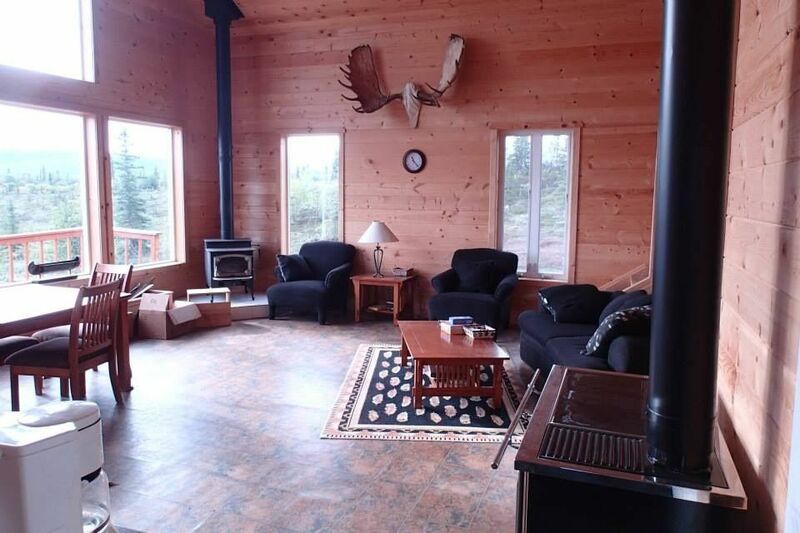 With lounge sofas, a fireplace and a stunning view of the river and surrounding mountains, this building really is the town hall of our little village. 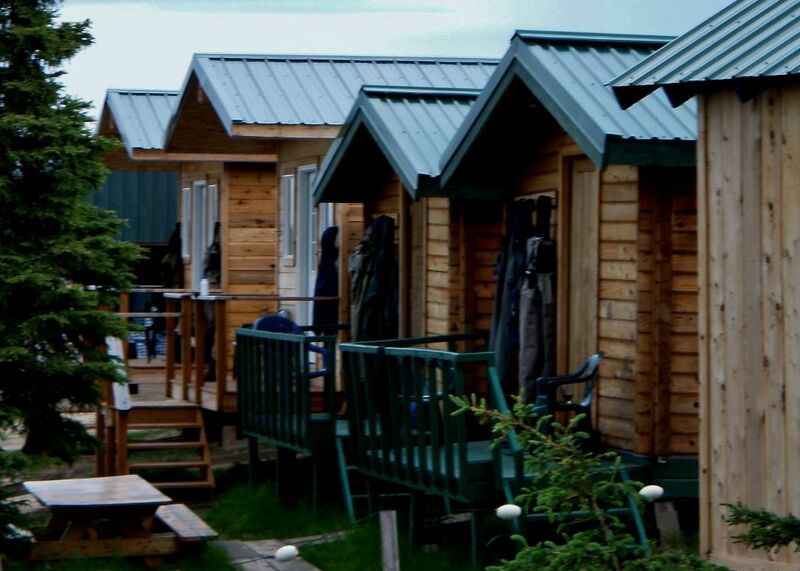 Wooden walkways connect all our private guest cabins (8) to each other and lead down to our naturally sheltered dock where a fleet of jet boats are ready to access all the best fishing spots within minutes of the Lodge. 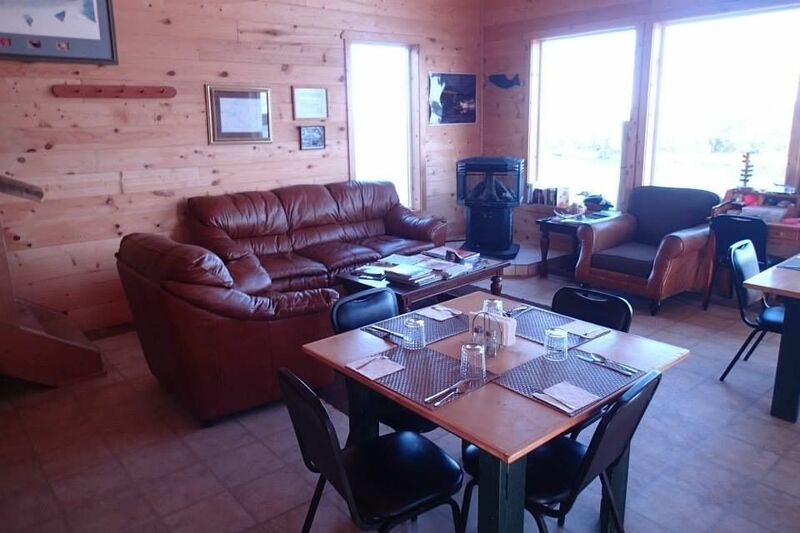 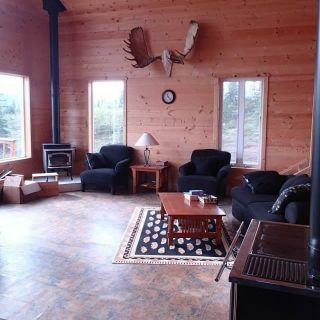 The Swiss Chalet on the hill, is perfect for larger psarties accommodating up to 8 guests comfortably and in style, not to mention taking in the “Million Dollar View”, where you can survey the rest of View more... the property, river and mountains beyond. 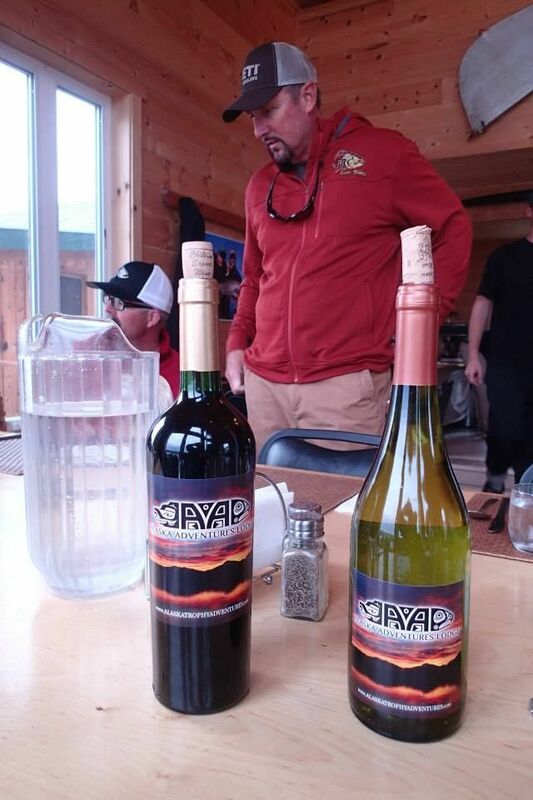 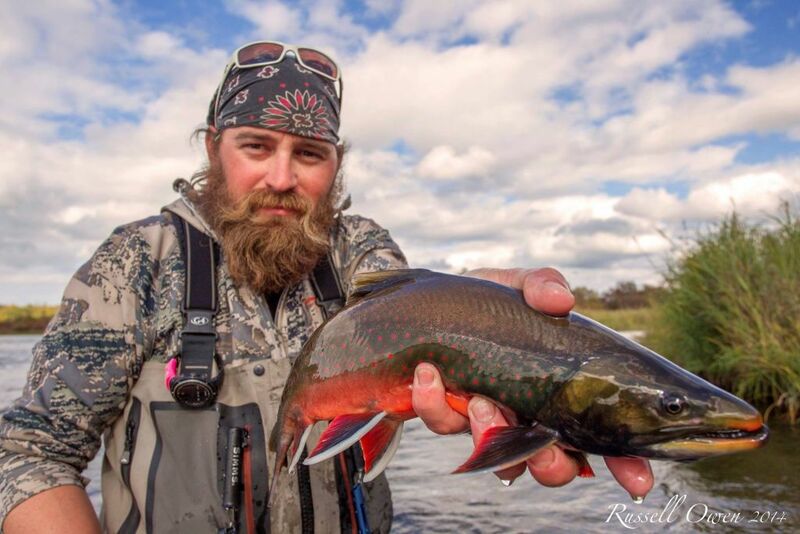 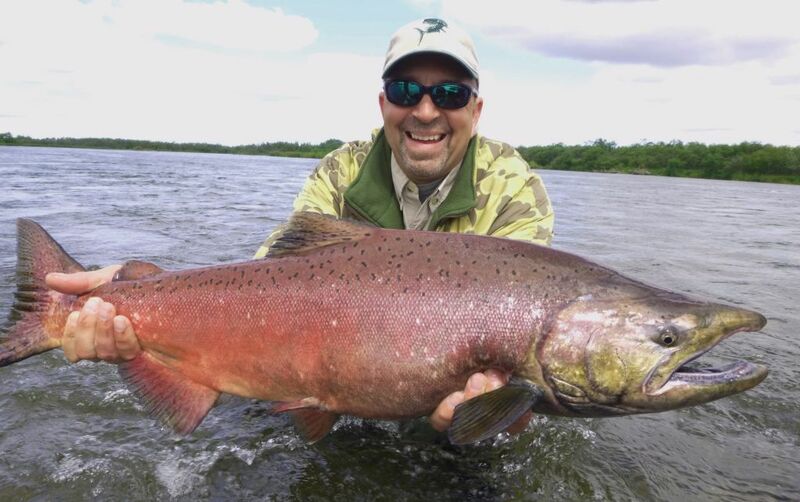 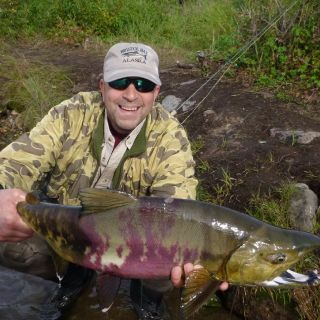 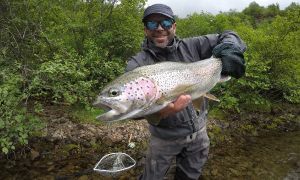 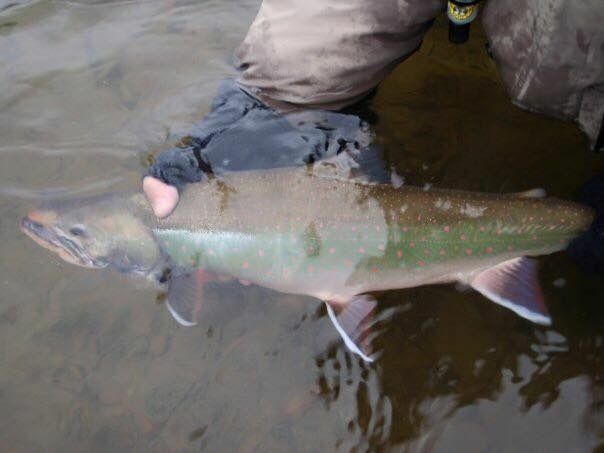 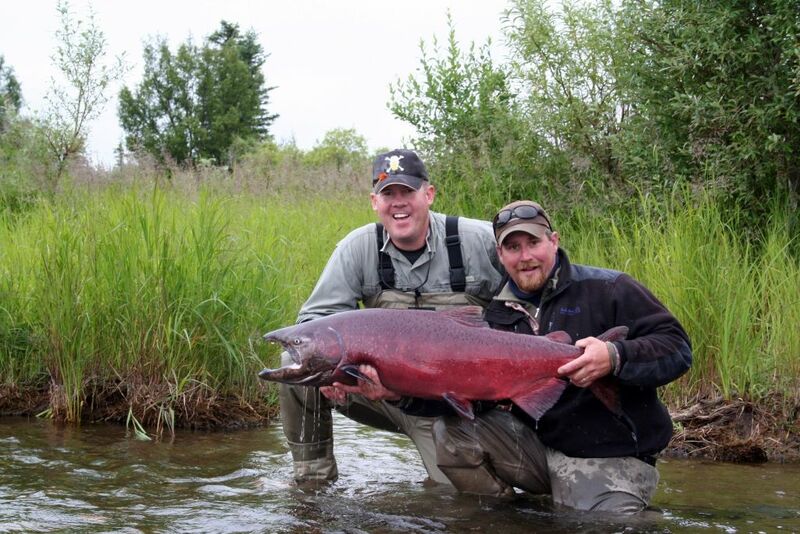 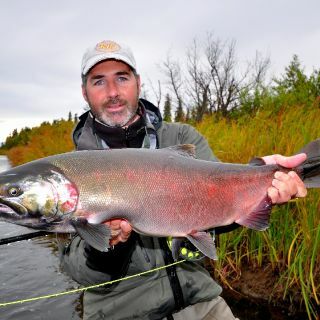 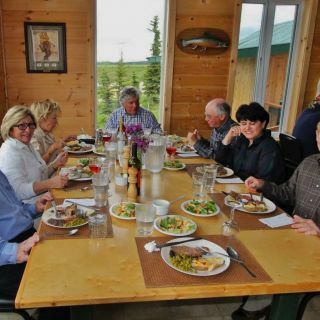 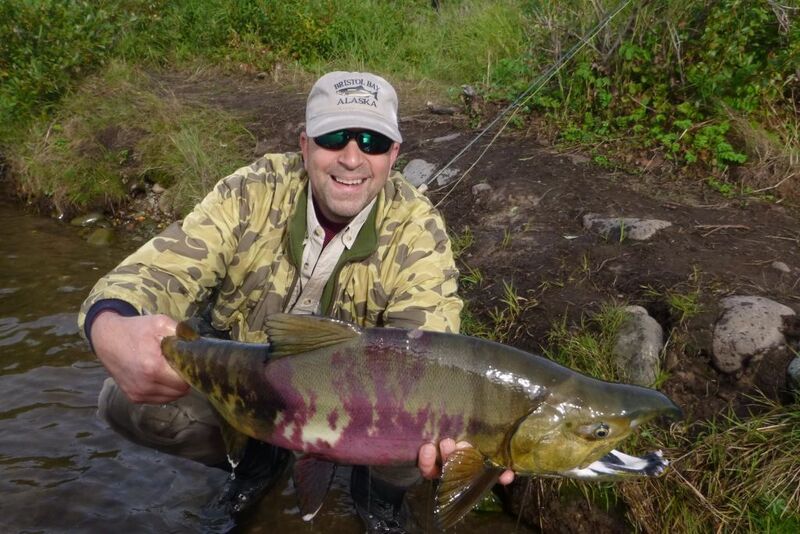 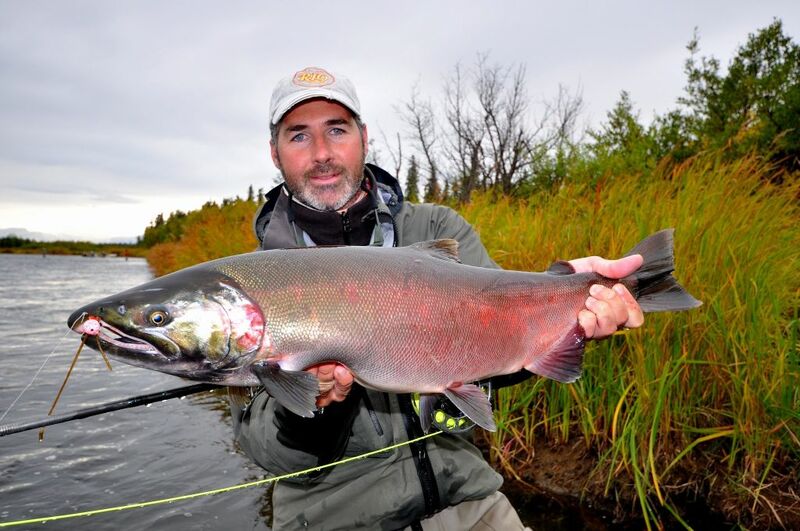 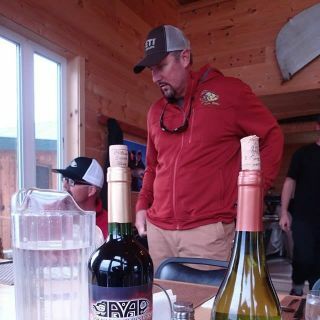 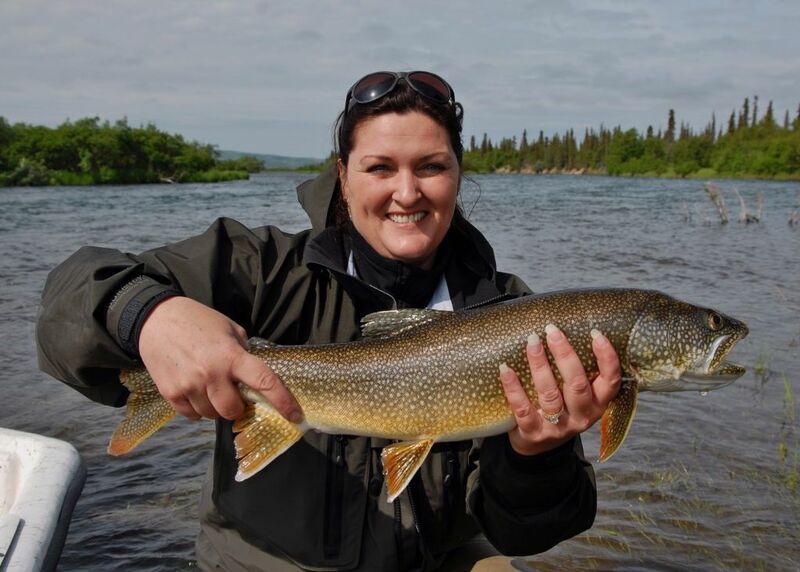 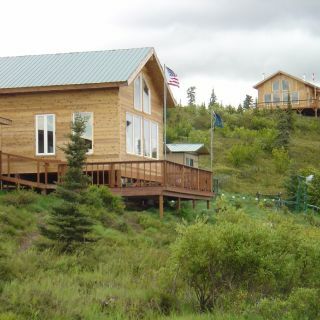 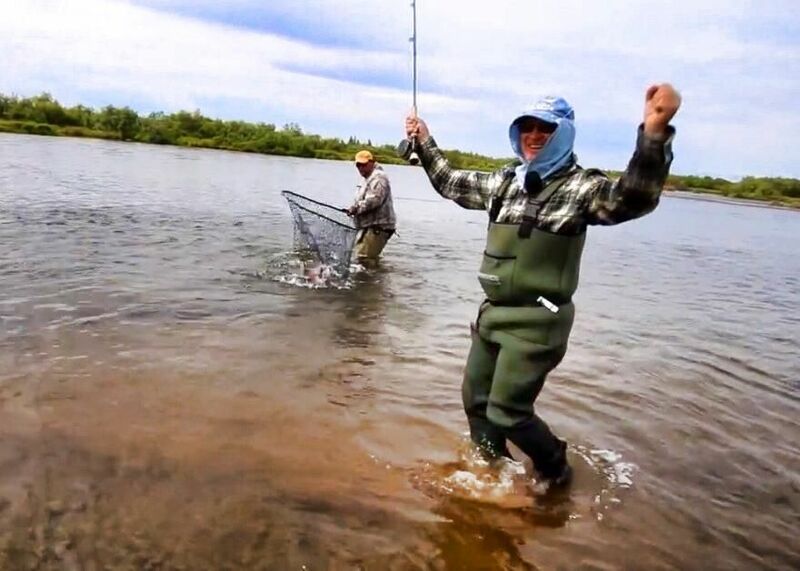 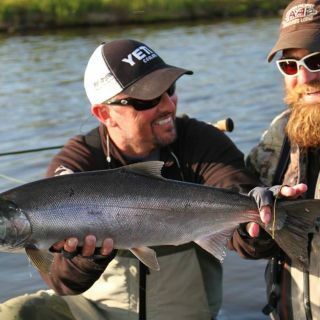 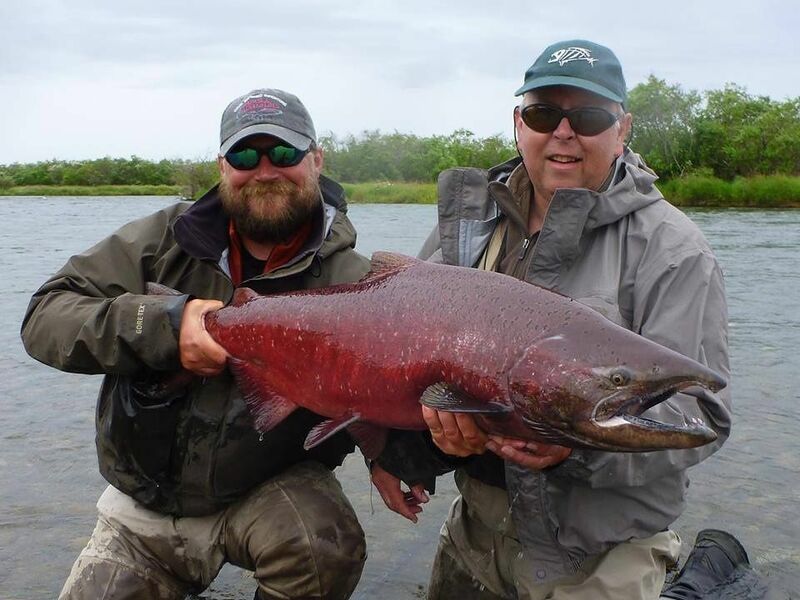 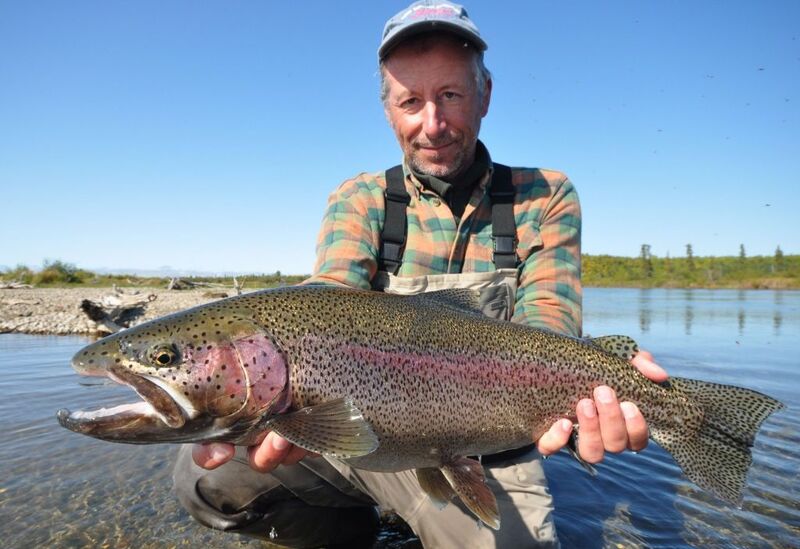 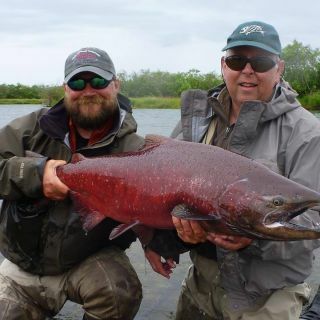 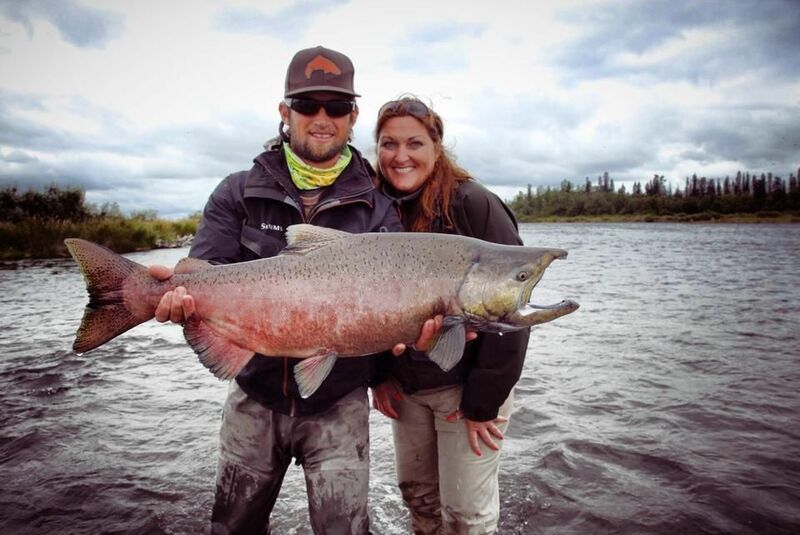 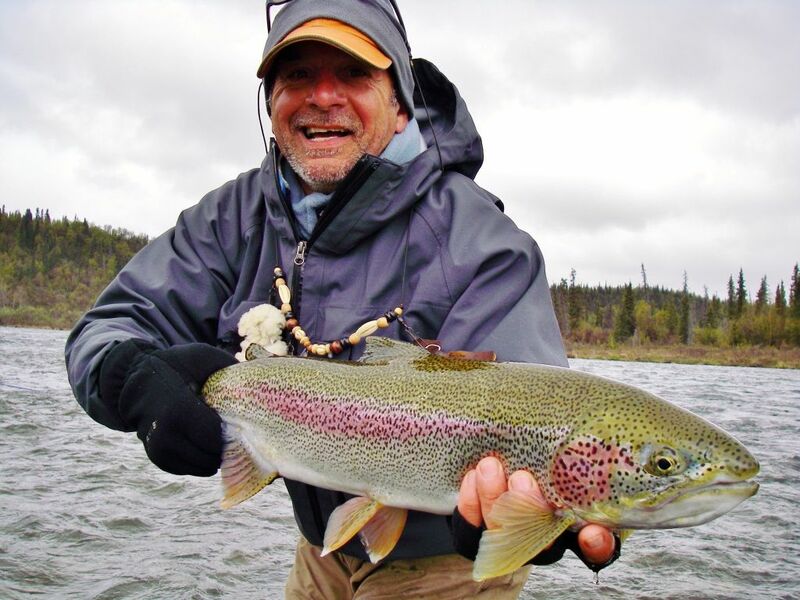 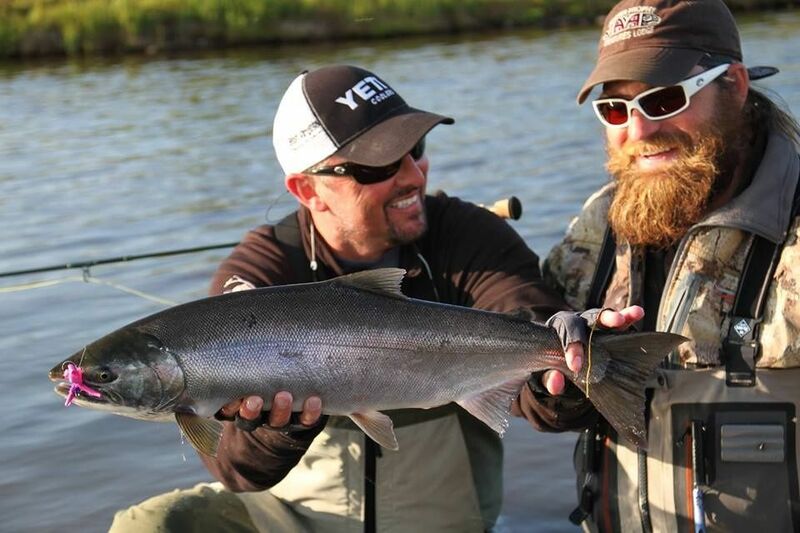 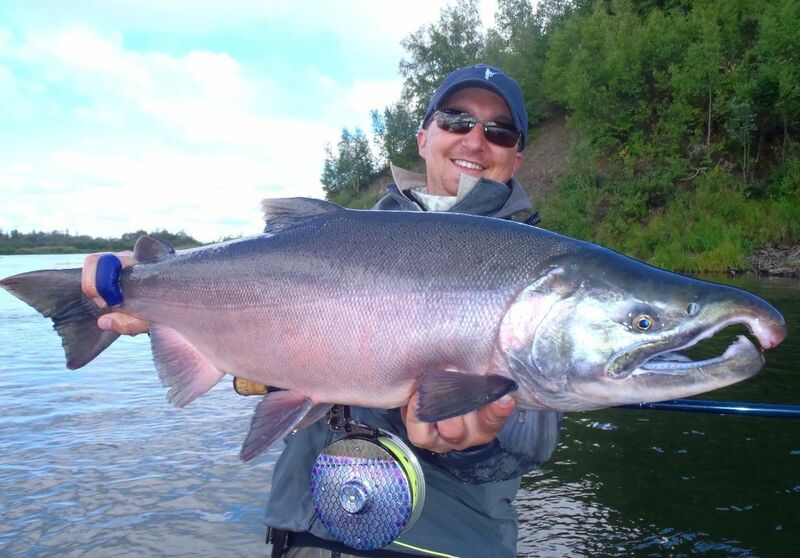 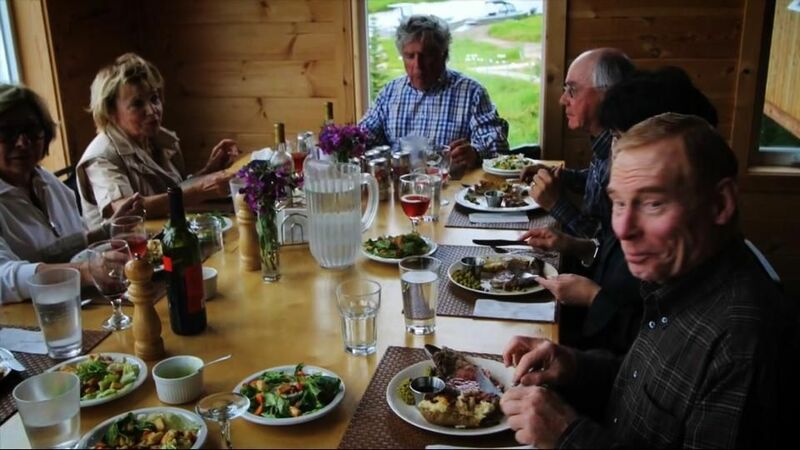 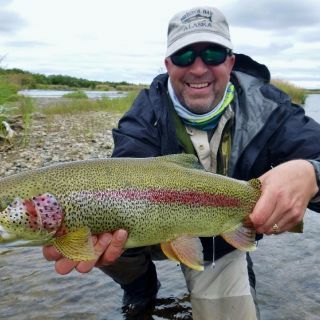 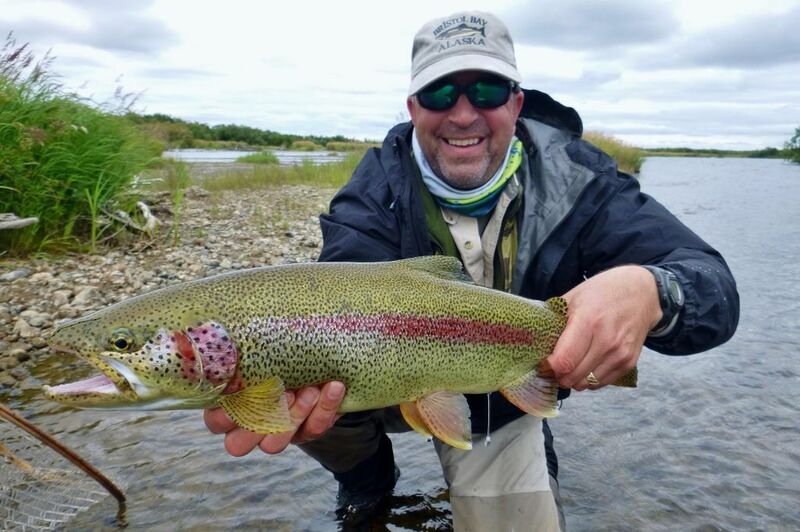 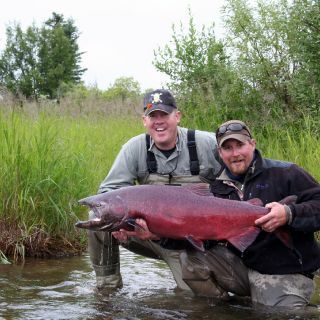 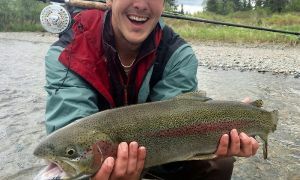 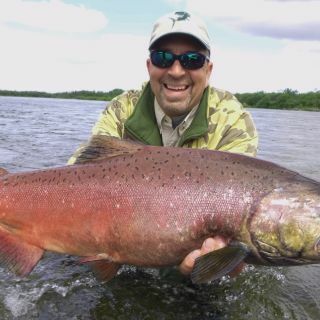 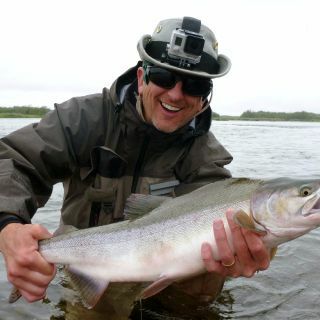 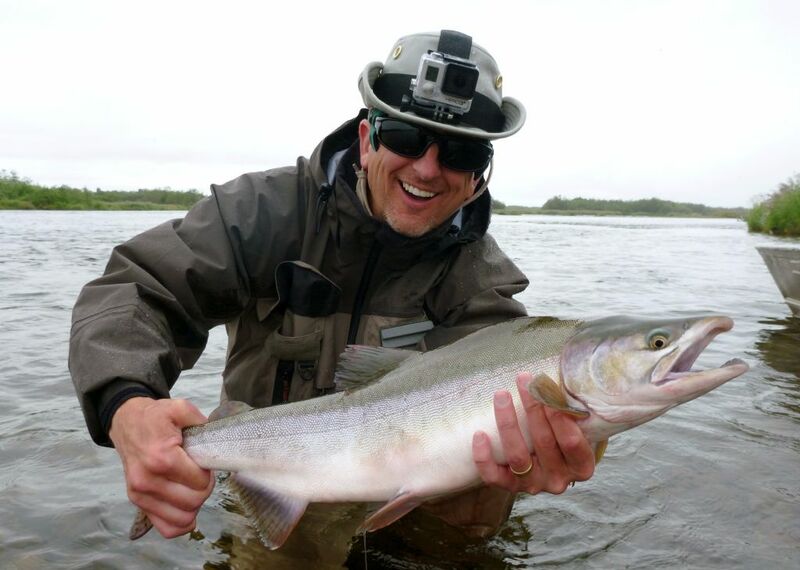 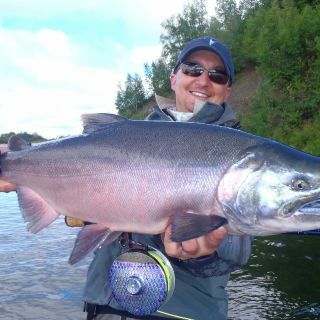 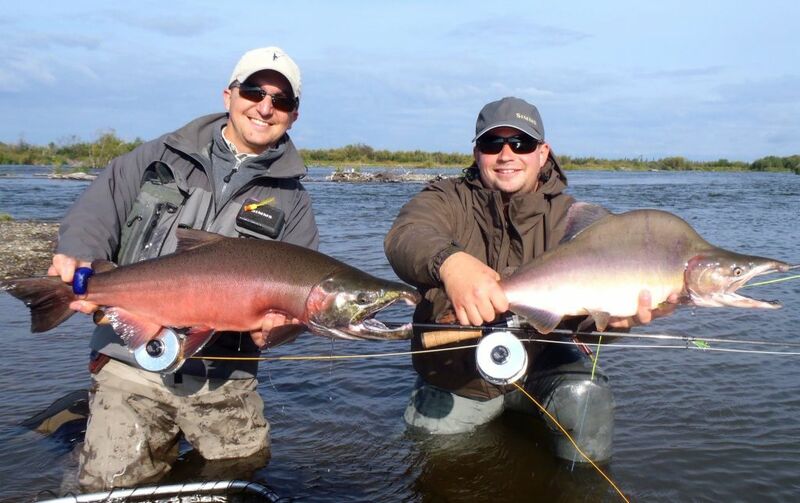 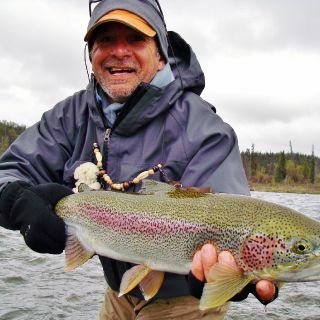 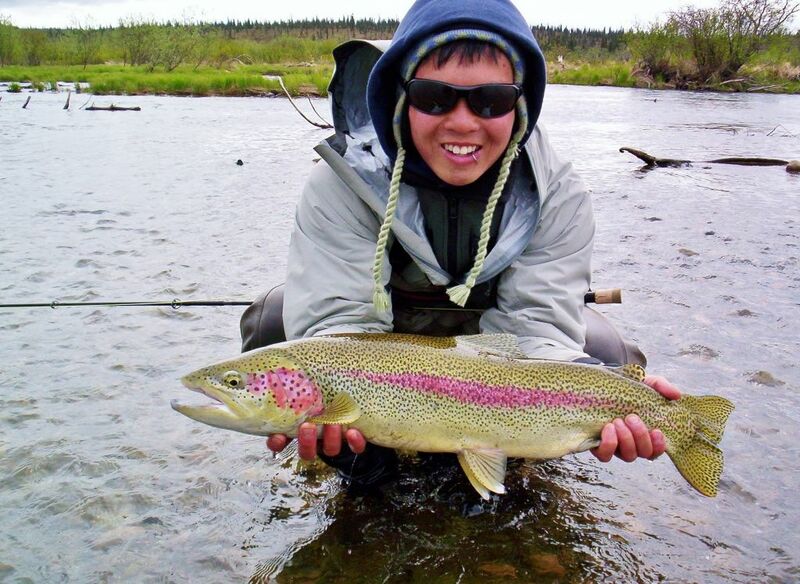 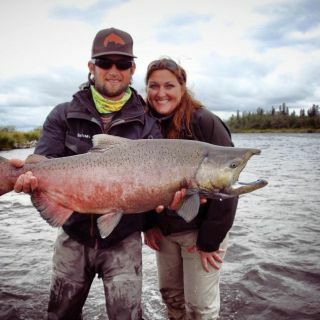 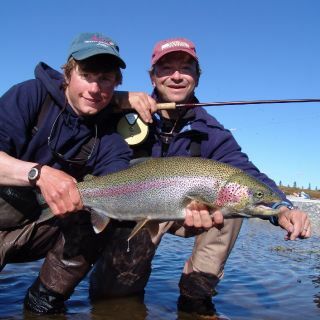 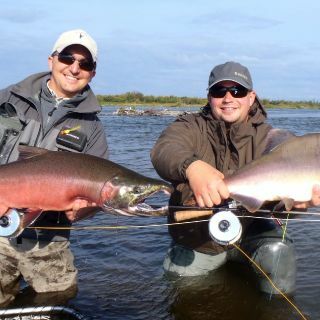 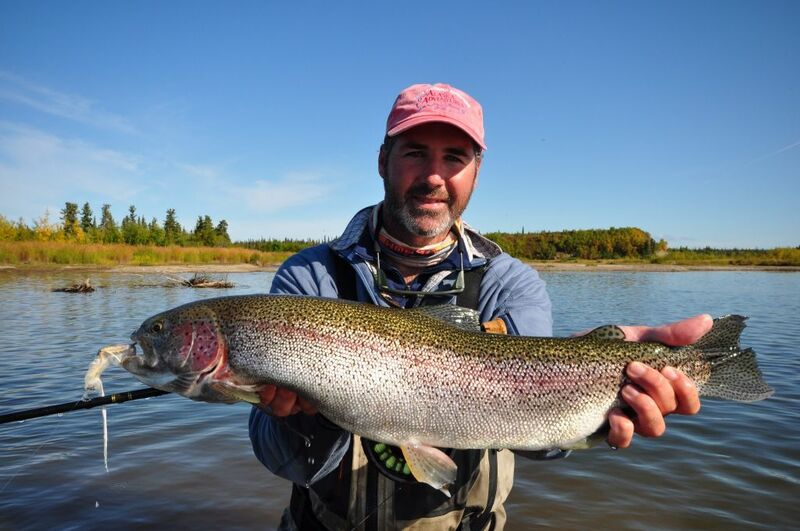 Alaska Trophy Adventures Lodge is situated on the remote banks of the wild and scenic Alagnak River and is the perfect wilderness fishing retreat. 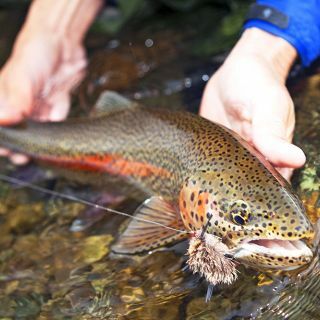 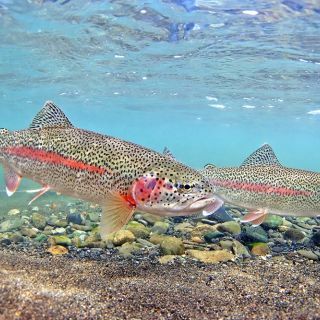 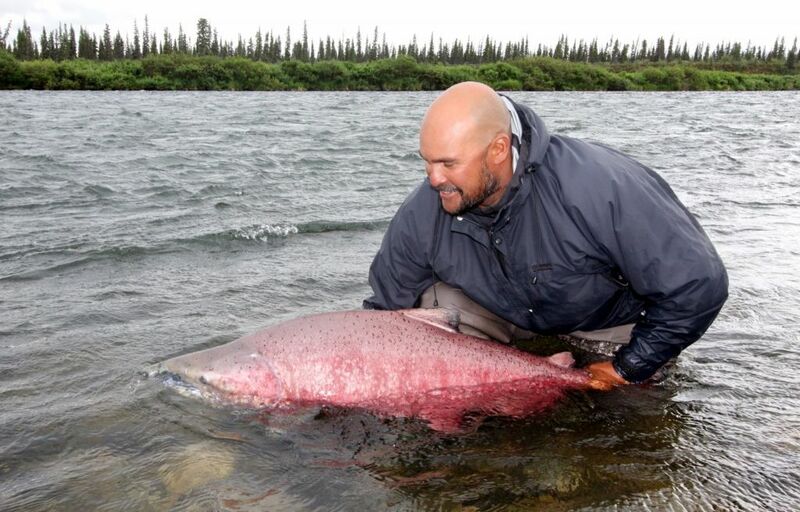 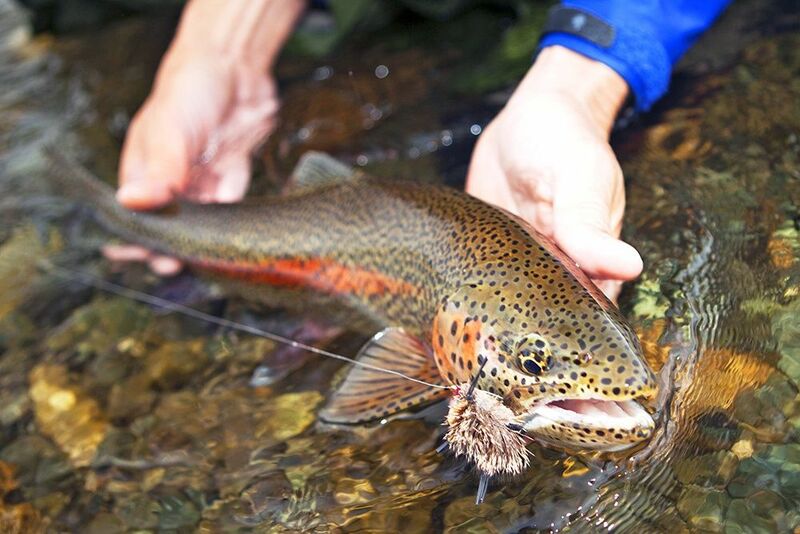 Boasting a world-famous run of all five species of pacific salmon, the Alagnak is also home to a host of resident fish, such as leopard rainbow trout, arctic char and grayling. 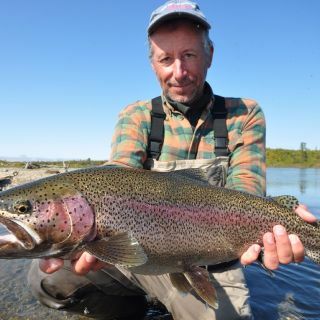 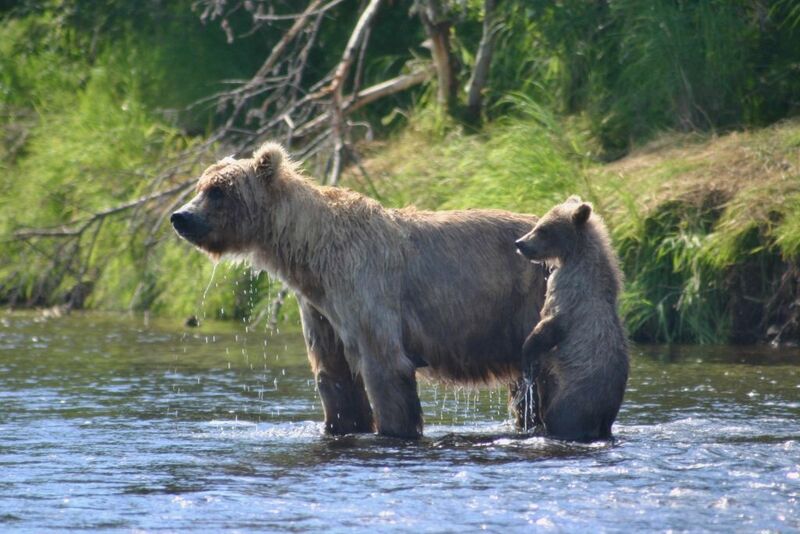 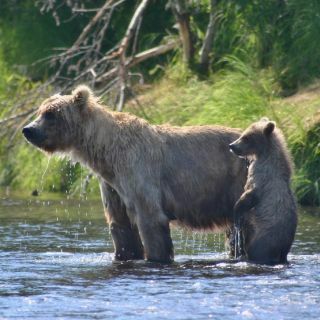 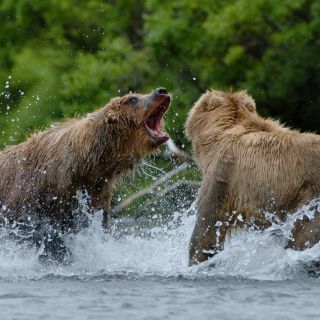 This prestigious river is located within the Katmai National Park, with its headwaters in the surrounding mountains and drains into Bristol Bay. 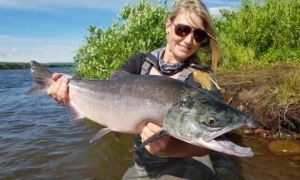 It is also famously known as “The Branch River” for its seemingly endless braids, where 10 miles of river can easily contain 30 miles of fishable waters. 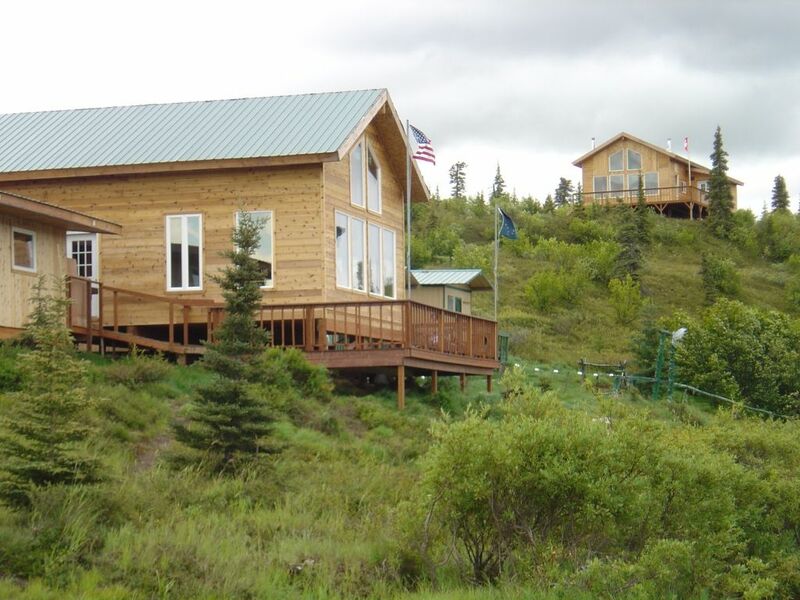 With such exclusive river access, you are sure not to be bothered by any crowds.